Industrial automation products are widely used in various industries, such as Semiconductor, Electronics, Food, Medical, Chemical, Home Electronics, Office Automation, Automotive, Machine Tools, Robotics, Molding Machines, Rubber, Plastics, Conveyors, Automated Warehouse and etc. Uniform oven temperature by using linked Temperature Controllers.Use an external analog signal (4 to 20 mA) as the set point (SP). Uniform oven temperature with a total of three Temperature Controllers. 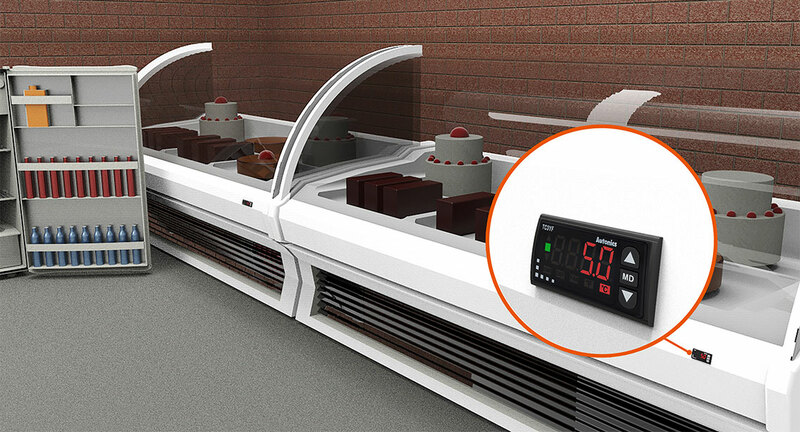 Use the Temperature Controller's transfer output for zone control in electric ovens. This application uses a Fiber Sensor that resists cleaning liquids and a Fiber Amplifier that eliminates the effects of drops of water. 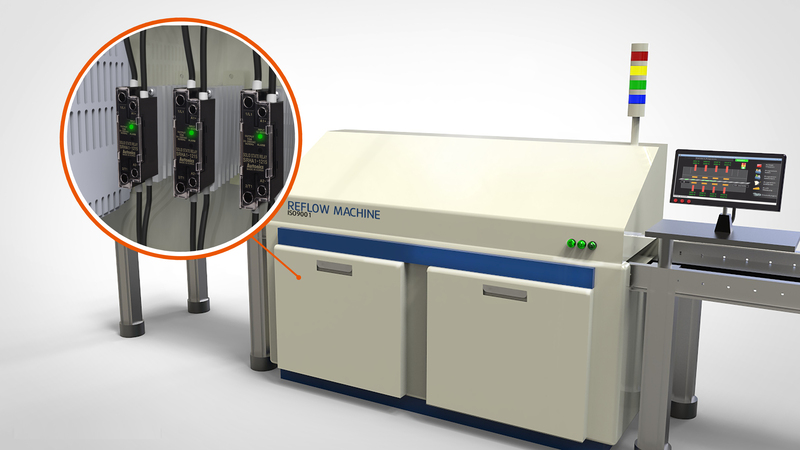 This Fiber Sensor detects passage of glass substrates in the cleaning process of glass substrates. 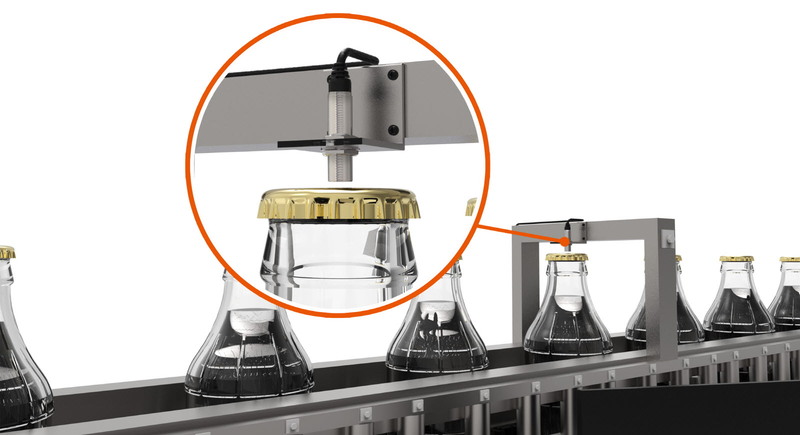 This Sensor resists cleaning liquids and does not need mechanical adjustments to enable easy positioning adjustments with glass in a wide detection area. A special Fiber Sensor that mounts the new 'Tough Mode' eliminating interference from water droplets enables stable detection that resists the spray of liquids. One Controller connects to four compact Pressure Sensors. 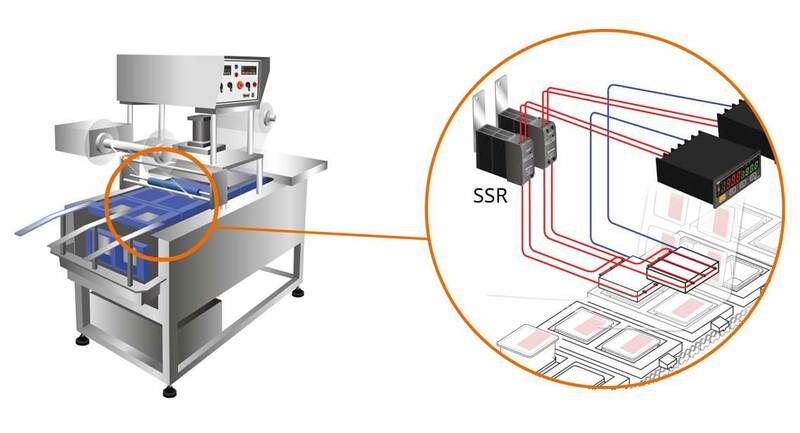 Increase wafer throughput with little installation space. The necessary information is dispersed and managed by storing work instructions (quality information, processing instructions, process completion information, substrate information, inspection information, etc.) to an ID Tag attached to the cassette. 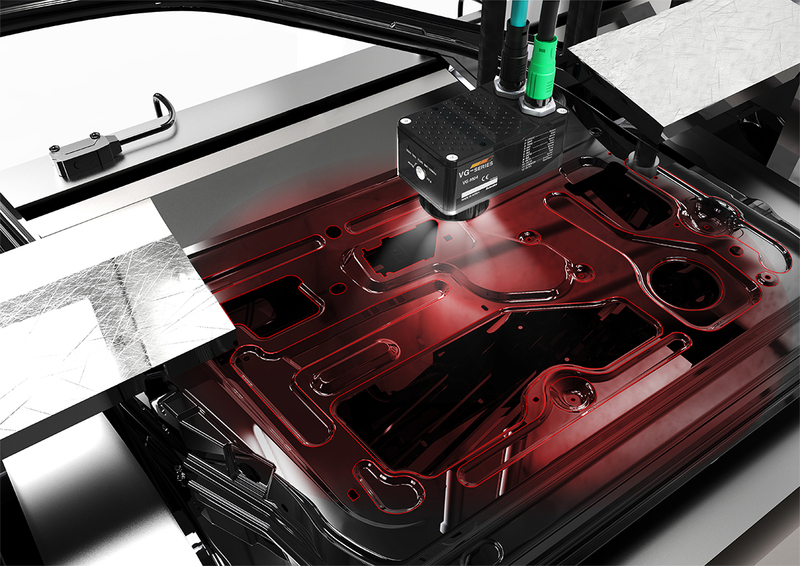 Laser-type Smart Sensor measures the distance to the workpiece on both X and Y axes to detect position shifting. 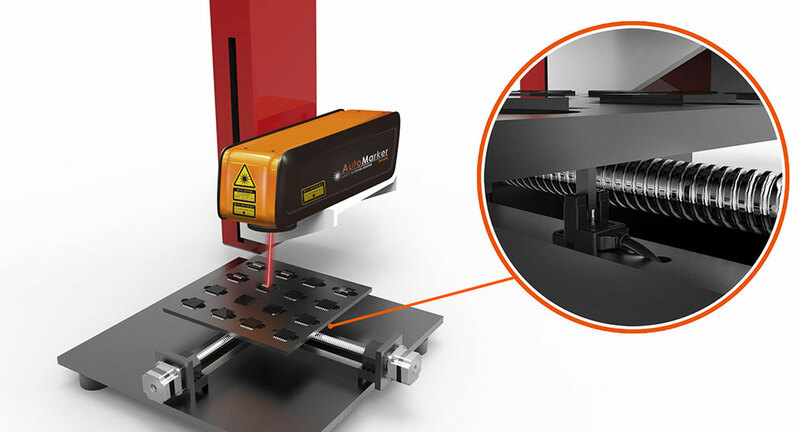 The compact Sensor Head and small beam spot make it possible to inspect thin workpieces. Metal cassette detection in medical fluid tank is possible using E2FQ Fluororesin Proximity Sensor. The E2FQ with an all fluororesin casing enables detection in places where medical fluid is sprayed. 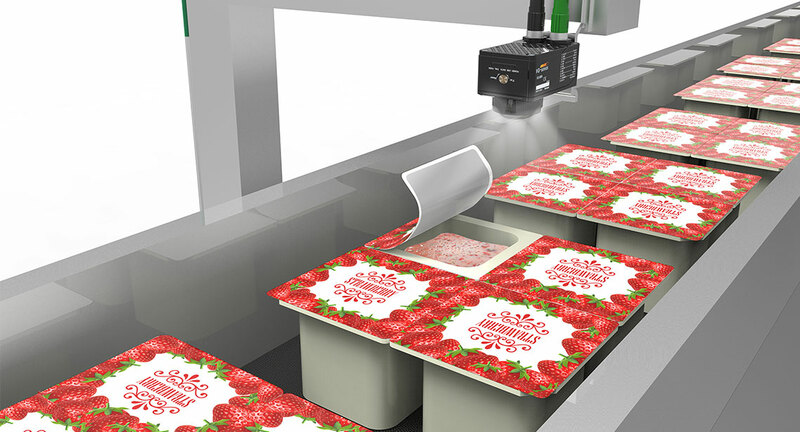 Smart Sensor with Ultra-High-Speed Color CCD Camera detects the presence of button cells after packaging. Pattern matching of the button cell and the background is used to eliminate the effects of the film's surface gloss and enable stable detection. The use of a high-performance fan for pulling in outside air enables 40,000 hours of constant measurement. The Air Particle Sensor monitors the existence of particles on operating equipment without the need for manual assistance. This four-channel Irradiator provides separate irradiation patterns and installation in less space with a compact Amplifier. LED Irradiator reduces thermal damage to electronic components. Static can be removed while monitoring it with a Static Sensor during work procedures. This application uses a pipe-mounting Capacitive Liquid-level Sensor that is not affected by the color of the pipe, the color of the liquid, or foams on the liquid surface. 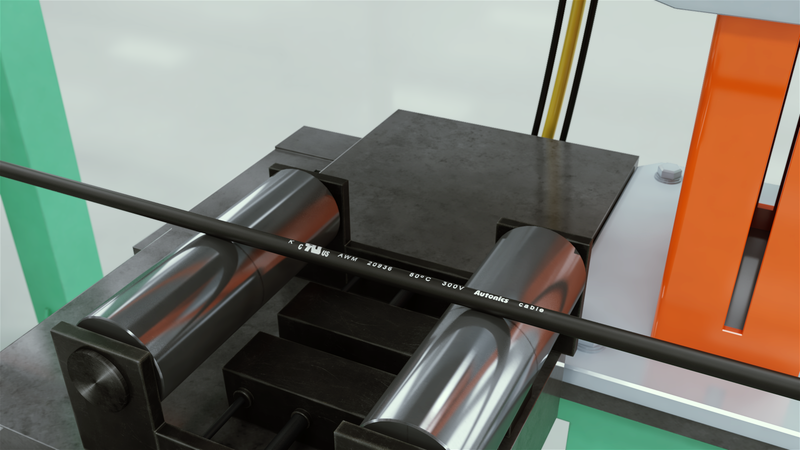 This Sensor allows you to detect chemical liquid levels without being affected by the color of the pipe, the color of the liquid or foams on the liquid surface. Two models are available, one for pipes with a diameter from 8 to 11 mm and one for pipes with a diameter from 12 to 26 mm. 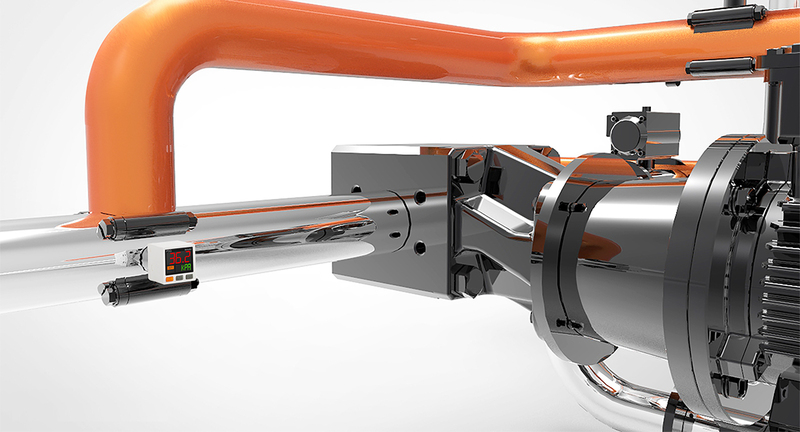 The Smart Sensor (Linear Proximity Model), which is highly environment resistant (up to 200°C), carefully detects liquid levels in high-temperature solder baths, provided that close-range inspection from the upper side of the tank is possible. PCBs can be physically managed by direct marking them with a small (approximately 4 mm x 4 mm) 2-dimensional code (with model number, lot number, production history, inspection data, etc.). 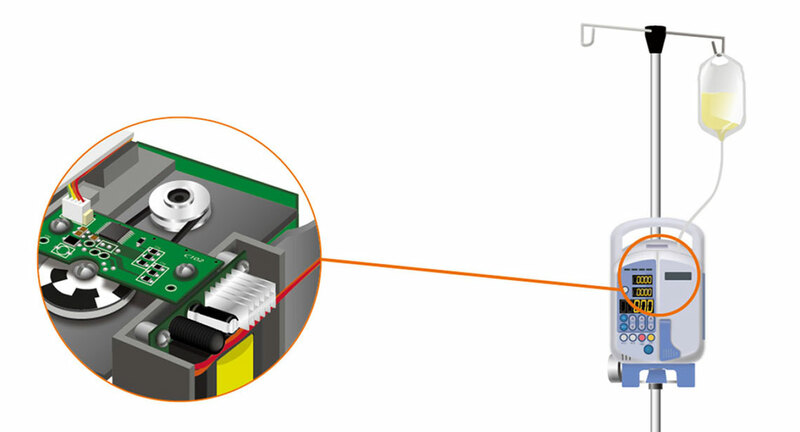 Through-beam Smart Sensor detects double presser plates of crystal oscillators inserted together. 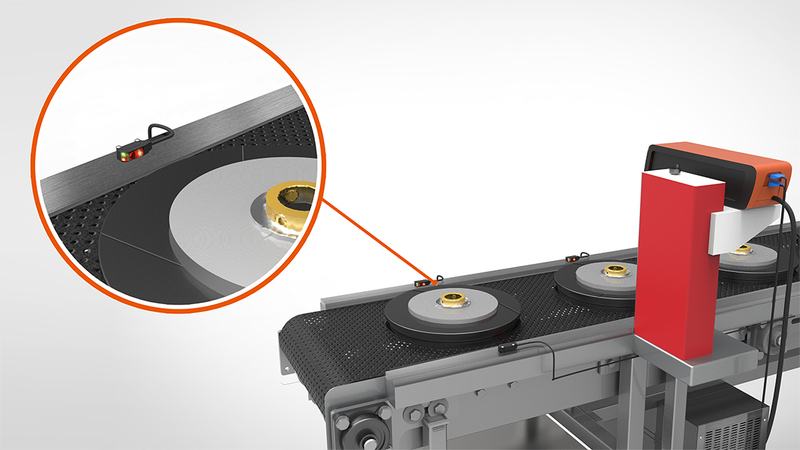 Precisely detects the difference between one and two 80 µm thick aluminum plates by the amount of passing light. This application uses a UV power monitor that allows you to monitor the amount of light from a UV lamp. This Sensor not only detects the degradation of UV lamps used for bonding LCD substrates, but also detects LCD glass, which is usually difficult to detect. The system keeps the amount of light of UV lamps constant to enable quality control of the hardening conditions. Registering two set values, one for idling and one for operation, in the E5EN Temperature Controller. Using the multi-SP function enables saving energy during idling by externally changing the settings of the Temperature Controller. Problems: Momentary power line interruption damaged 10,000,000 units (wafer loss). Considering countermeasures, but still seeking the best method. Block-type S8TS Switching Power Supply and backup block used to cope with momentary power interruptions. Production able to continue despite any momentary power interruption that may occur. Problems: Furnaces are located near power supply, so ambient operating temperature is 50°C, and a power supply with a greater capacity than normal is required (derating curve). The number of fans and capacity often changes. Use an S8TS Switching Power Supply that can be easily expanded in 660-W blocks. Respond quickly to sudden need for increased power supply capacity. This application uses a Side-view Fiber Sensor with a homogenous area beam. This Sensor uses a change in the amount of interrupted lights caused by notches and eccentricity to enable detecting the position of notches and eccentricity of wafers. The amount of interrupted light by wafers is proportional in the 11-mm-wide detection area. The special optical components enable homogenous area beams in the detection area. This application uses a Line-beam Laser Photoelectric Sensor. ?This Line-beam Diffuse-reflective Laser Sensor is ideal for detecting the edges of transparent LCD substrates. 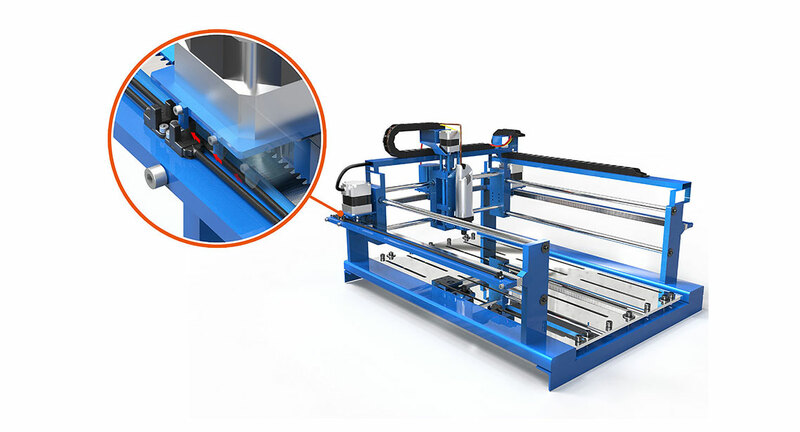 You can install a Laser Photoelectric Sensor away from the workpieces. This application uses a space-saving Flat View Fiber Sensors to detect presence of minute components and precisely inspect their front and back surfaces. You can connect two Fiber Sensors with a two-channel Fiber Amplifier, thus saving both energy and space. 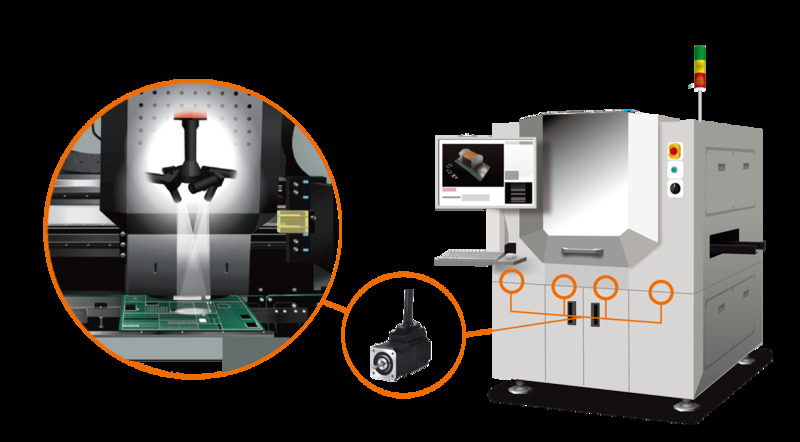 Photomicro sensors and stepper motors are used to move and check X-Y axis location of trays during laser marking of semiconductor parts. 5-phase micro step motor drivers are used to control the motion rail shafts in dispenser machines. Shaft type 5-phase stepper motors are used to control the rotation of reels in SMD reel counters. Pressure sensors, 5-phase stepper motors and motor drivers, photomicro sensors, interface terminal blocks, and logic panels are used during inspection process of LCD displays used in mobile electronic devices. 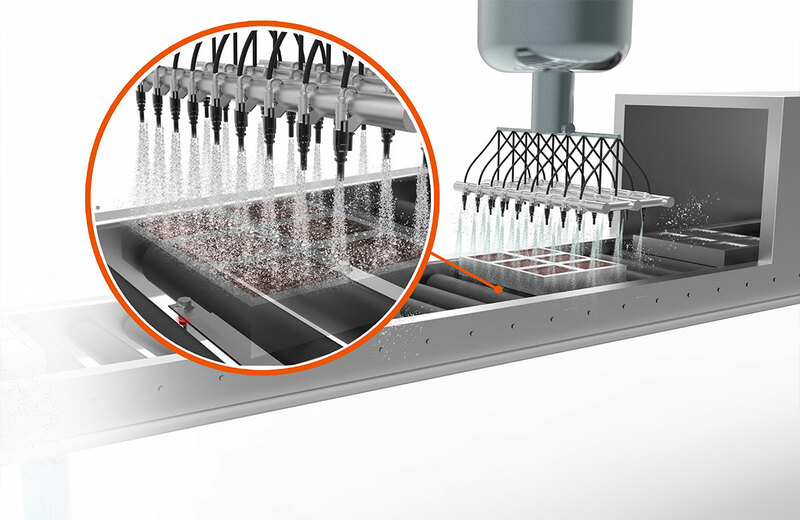 The Ultrasonic Dispalcement Sensor can detect the workpiece in a wide view from the above, without being affected by one or two bottles but detect all the bottles that the sensor covers. Amplifier with a differentiation function and wide-area detection area head detects falling products stably. Differential operation makes it possible to detect workpieces by ignoring changes in light intensity over time. 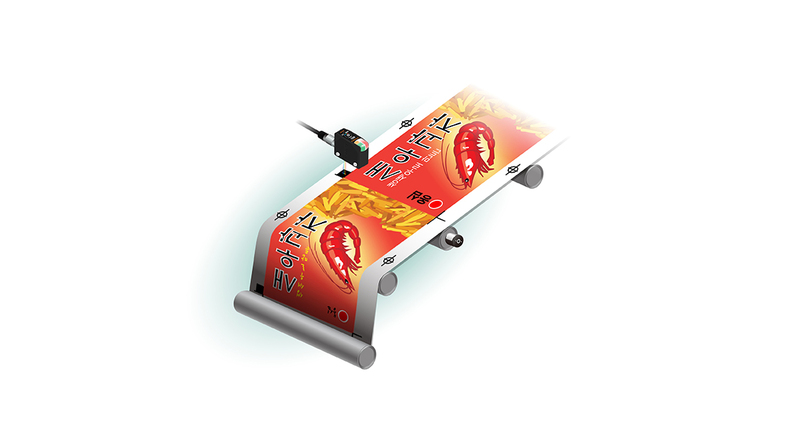 The Proximity Sensor externally detects wrapping foil errors after packaging. Spot irradiation with a UV LED enables sure, low-cost adhesion of plastic parts. A high-speed valve and regulator supply air to accurately remove dust with pulsed air. 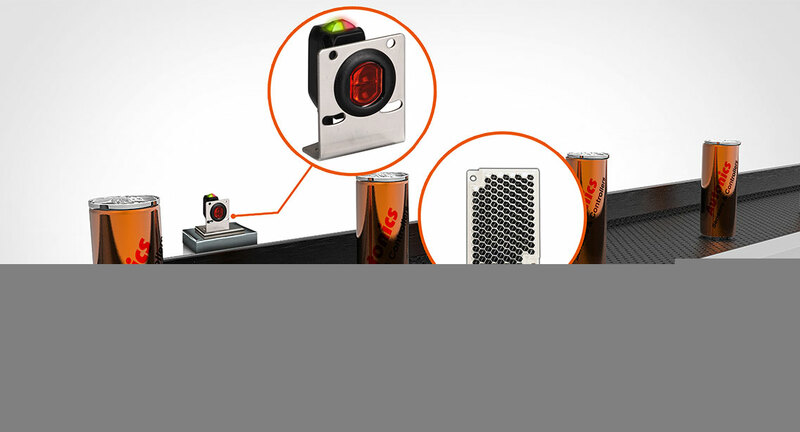 Smart Sensor with High-Speed Color CCD Camera inspects liquid level edges. 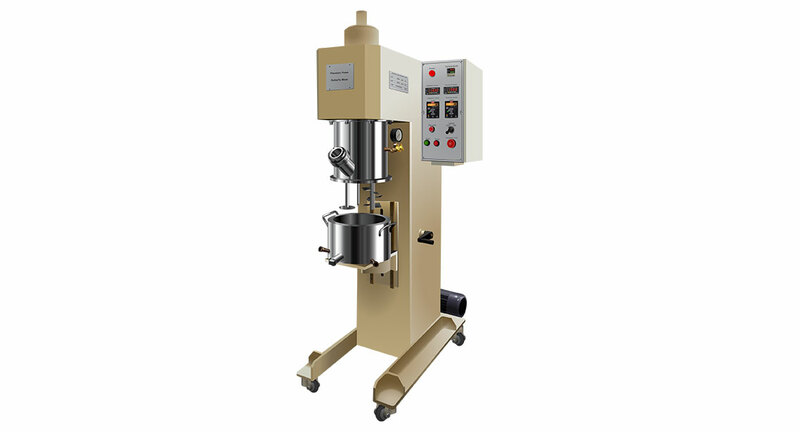 Because it is capable of detecting the liquid surface as an area, stable detection is possible in spite of workpiece movement or slight movements in the surface of the liquid. Check for different adhesive labels by teaching the mark and measuring the blank area. Prevents adhesion of foreign matter when conveying PET bottles. 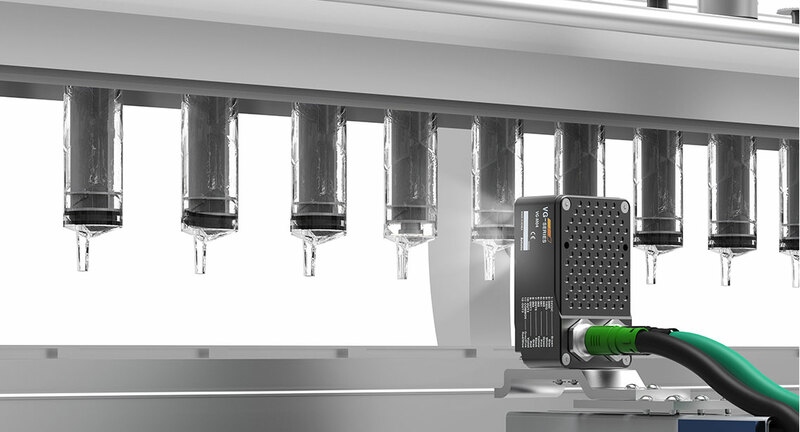 By adopting the new optimum optical system mechanism, detection of transparent PET bottles can be realized. Long-distance type model can detect many bottles in a carton. The speed of a mixer or agitator is detected with a proximity sensor, and converted and displayed by the Rotary Pulse Meter. It converts and displays the rotation speed proportional to the input frequency. Problems: The machine supplied to the user occasionally stops. Time and effort are spent in troubleshooting to enable recovery. Need to shorten recovery time to increase customer satisfaction. Change to a Power Supply with a display that will allow faster troubleshooting of machine problems. Customers can easily check Power Supply status on the display, letting them to know whether the Power Supply is the cause of the problem. 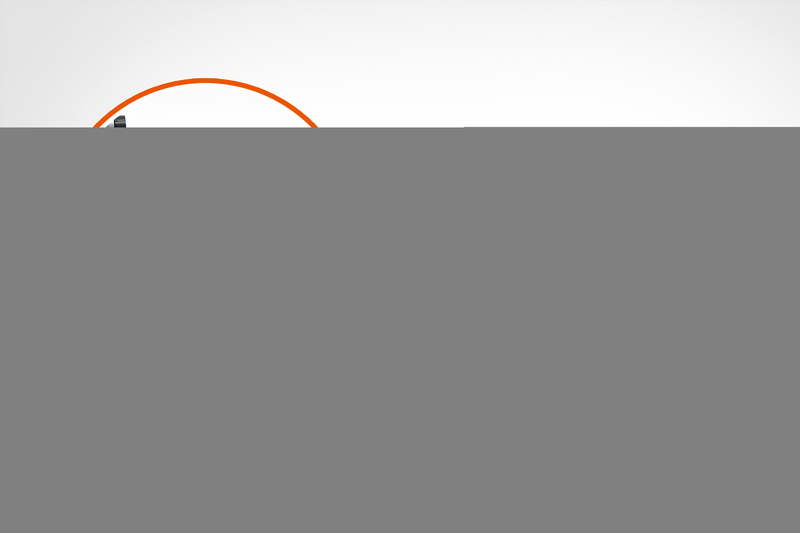 This application uses a Retroreflective Photoelectric Sensor for clear films.? Install a Sensor and a Reflector between which a clear film is placed. This Sensor enables stable detection of clear films with optical and circuit technology that detects slight signal differences caused by clear films. 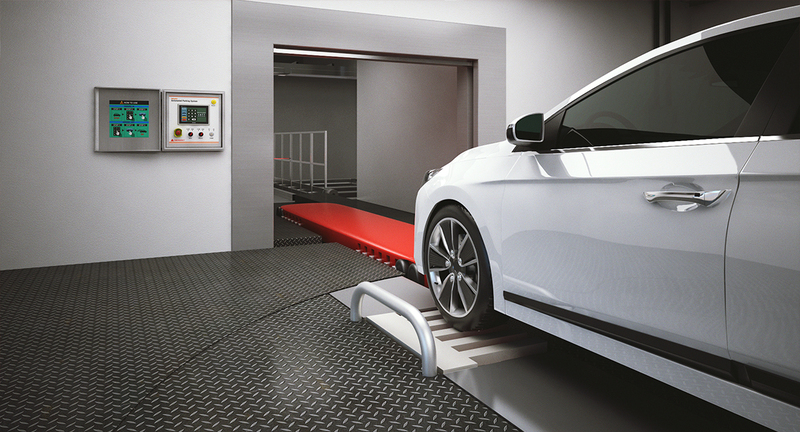 This application monitors tightness and slackness by measuring the rotation ratio between two rollers. 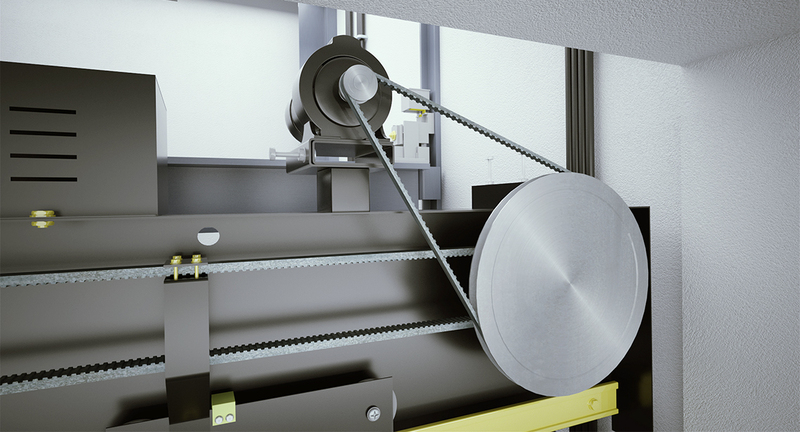 A Rotary Encoder measures the rotation speed between two rollers in the winding process for materials, such as film, cloth, paper, or cotton. In absolute ratio mode, the K3HB-R Rotary Pulse Indicator converts and displays the rotation ratio between two rollers. You can monitor and control tightness and slackness. This application uses an Area-sensing Fiber Sensor. 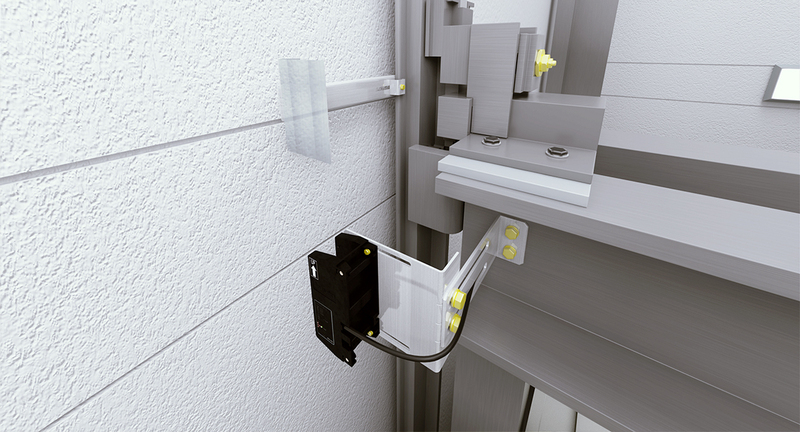 This Area-sensing Fiber Sensor eliminates the effect of the detected position of workpieces. 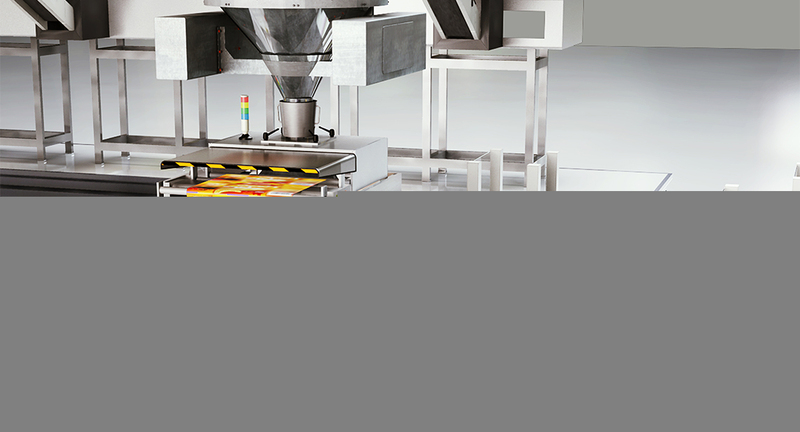 Full-metal inductive proximity sensors used to detect the location of food trays in meat processing lines. 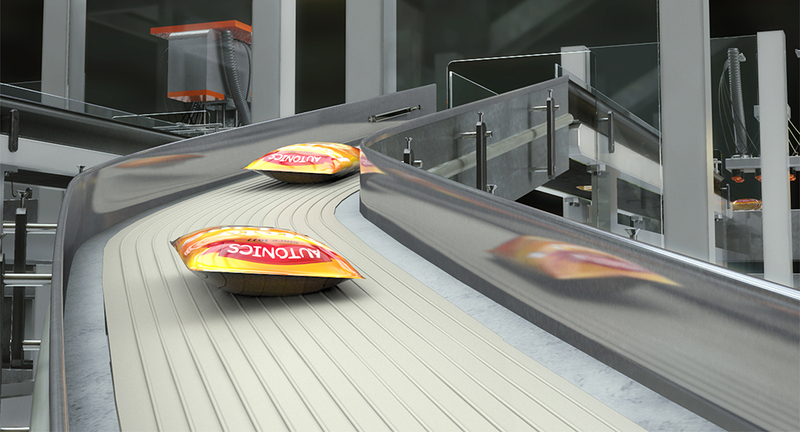 Vision sensors are used to identify the sealing status of food containers on conveyor belts. 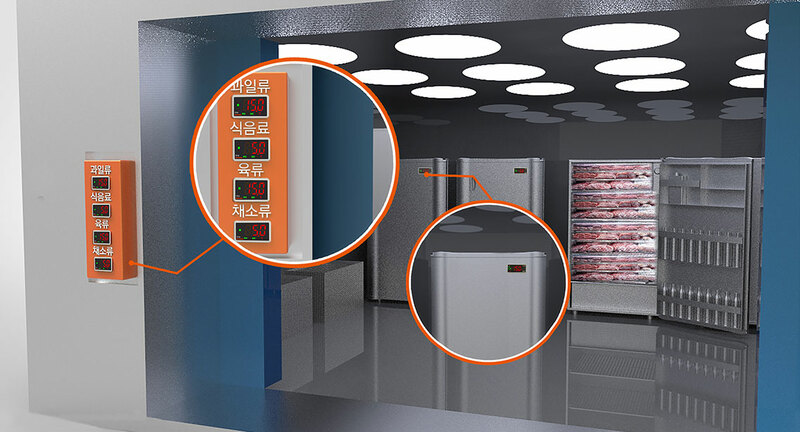 Refrigeration temperature controllers are used to control temperature of food display refrigerators. Refrigeration temperature controllers are used to control temperature of food storage refrigerators. 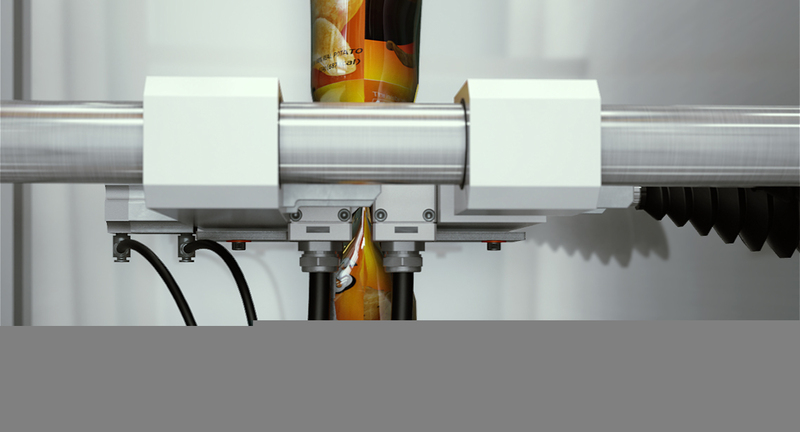 Front/side mounting photoelectric sensors are used to detect aluminum cans in beverage packaging lines. 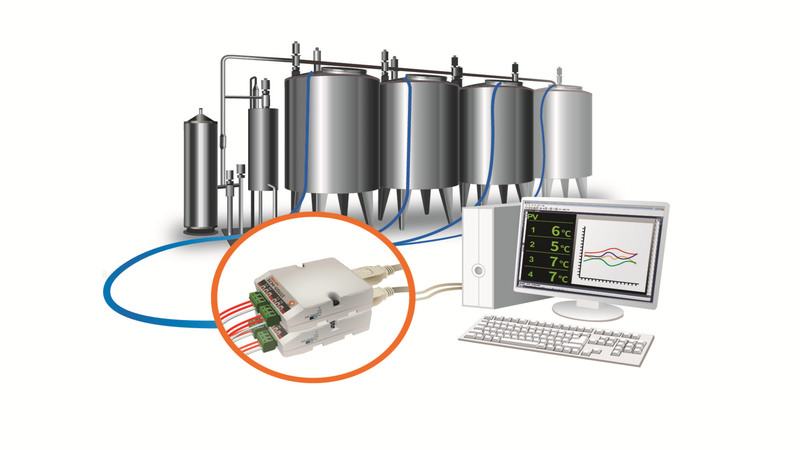 2-Channel USB temperature data loggers are used to transmit temperature data of beverage storage tanks to PCs. 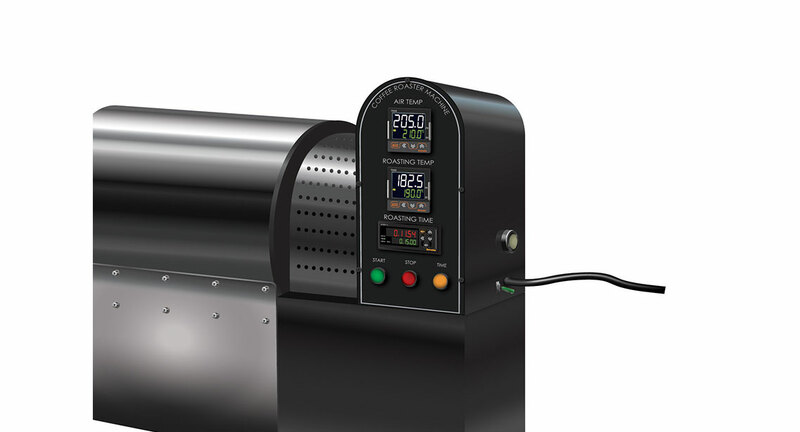 LCD display temperature controllers are used for temperature control of commercial coffee roasters. 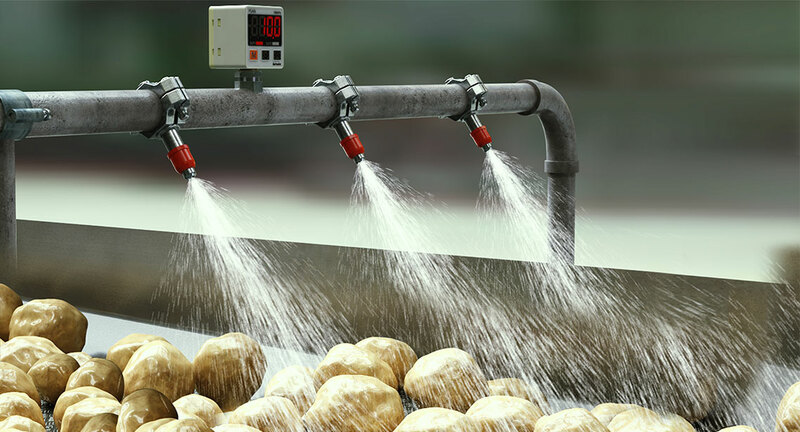 Dual-speed PID temperature controllers are used to control temperature of industrial food agitators. 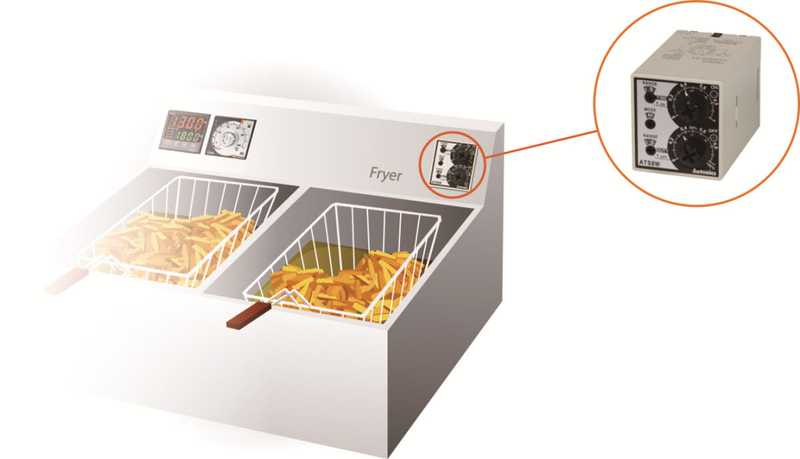 Analog twin timers are used to control time in frying machines. 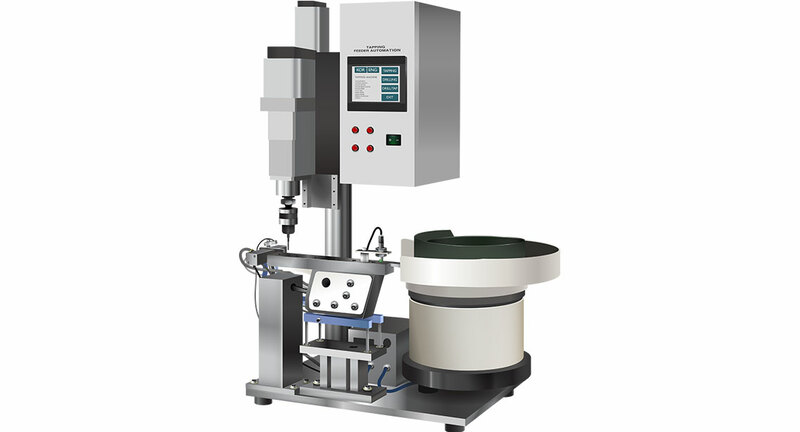 Prevents the adhesion of particles by enclosing the lens molding machine in a clean booth. LED Irradiator provide long life and radiation only when required. It also reduces thermal damage to products. Problem: Bar code labels or photoelectric mechanical flag seals are attached to the pallets of hanger conveyors that are used to transport small lots of CRTs or monitors for TVs and PCs in the processing and assembly lines. 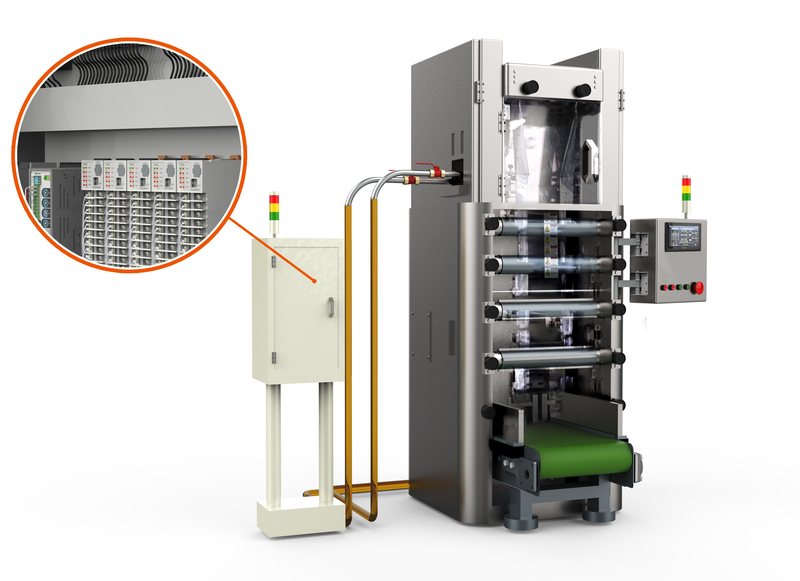 Because the hangers sway, the reading depth changes and the labels or seals sometimes cannot be read, causing the line to stop. The number of models being produced has increased due to diverse user needs and the appearance of LCD and plasma TVs. This has created the need for frequent line changes, and the resulting complex processes make control by a host computer extremely difficult. Mount a Data Carrier (ID Tag) onto the hanger pallet carrying the product. Write the data to distinguish models in bits (for example, 0000 for product A, 0001 for product B, and 0010 for product C, allowing 16 models to be distinguished with four bits). 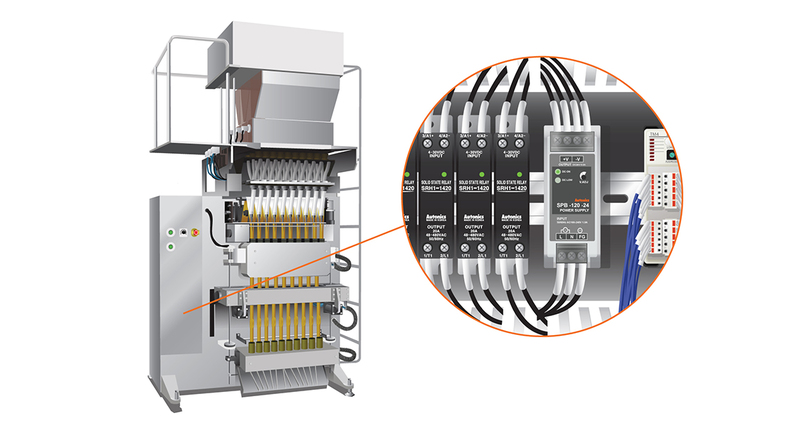 Install a system with Intelligent Flags and a PLC at each process. When the work at each process ends, write the process end flag data onto the Data Carrier. Use a "1" flag for ending, and a "0" flag for not ending (for example, for four processes, use 0001 for the end of process 1, 0011 for the end of process 2, and 0111 for the end of process 3. These will enable process progress management). Problem: Dedicated controller (manufactured in-house) and controller for inverter interface. Replace with Programmable Logic Relay. One ZEN Programmable Relay can replace 10 relays, greatly simplify wiring. 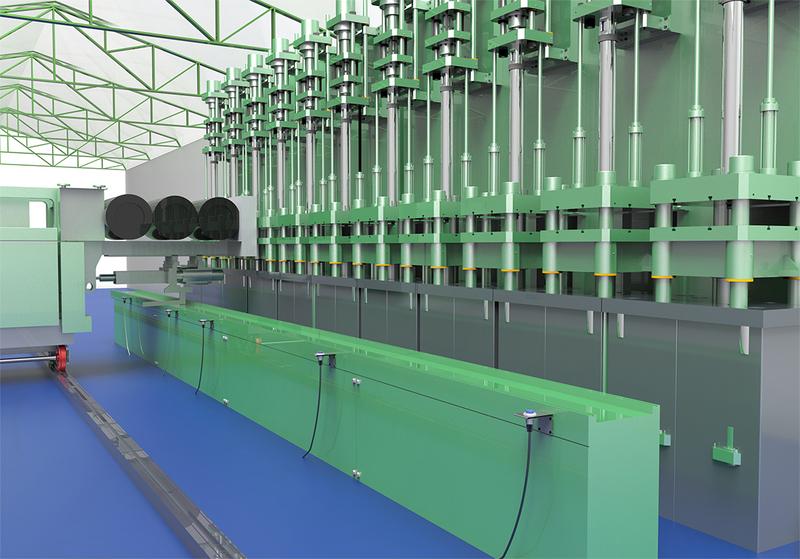 Stable detection of even mesh-type shadow masks is achieved by using a line beam. This application uses a Proximity Sensor with a Built-in Amplifier with resistance to aluminum chips. If you mount this Sensor facing upward, it can detect presence of drills without being affected by aluminum chips. 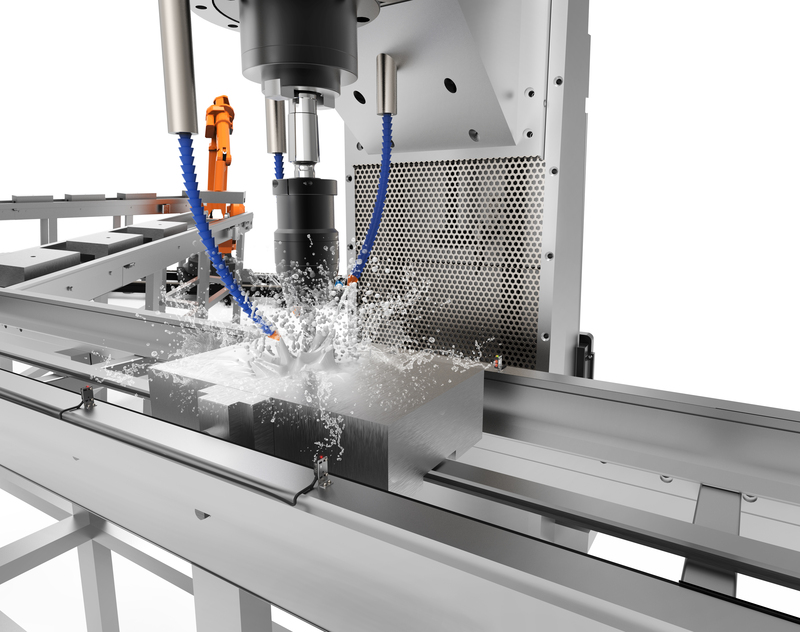 This application uses a Pulse-response Proximity Sensor with a Built-in Amplifier, which enables a long distance detection for aluminum workpieces. An ID Tag (Data Carrier) is attached to the pallet, and process instructions are written to the ID Tag. When processing is completed, the history information is written to the ID Tag. As the pallet moves to the next process (and is replaced with a new pallet), the information on the ID Tag is read and transferred to the ID Tag attached to the pallet for the next process. Laser-type 2D CMOS Smart Sensor provides simple detection of height differences even from a distance. The long-distance Displacement Sensor can detect height differences even in large sensing objects. 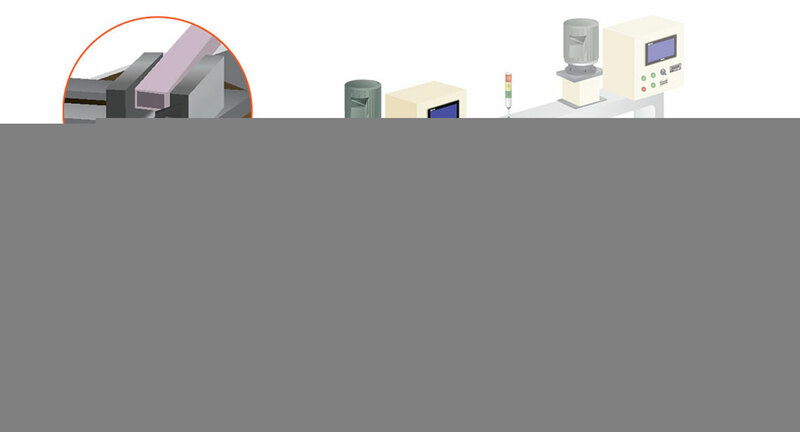 Workpieces passing through the sensing area are scanned using the signal of each beam to distinguish shape and size. Easy identification via color extraction without the impact of background or base. Multi-point precision height measurement on robot arms that transport wafers in load ports, can be done with ease using smart sensor. This laser spot beam sensor accurately detects cutting spot so that precise cutting position of external wall material can be attained. 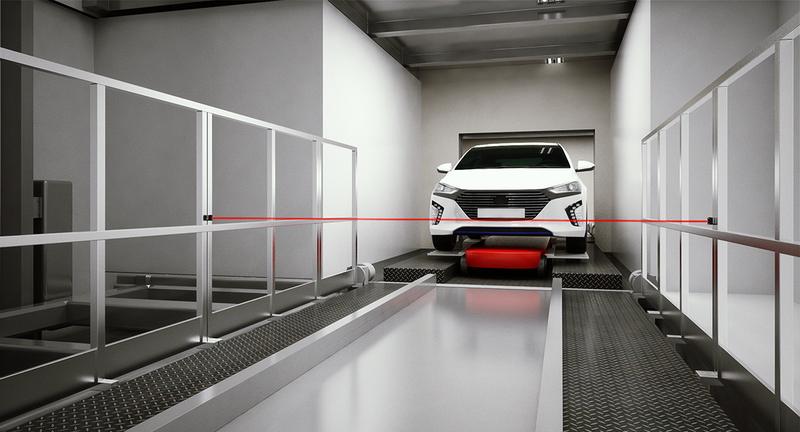 Vision sensors are used to inspect the shape of automobile doors during manufacturing process. 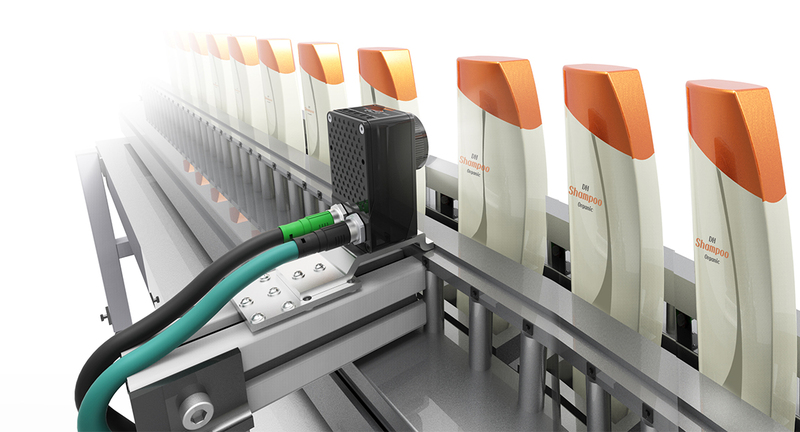 Vision sensors are used to identify the shape of automotive parts (spark plugs) in manufacturing lines. 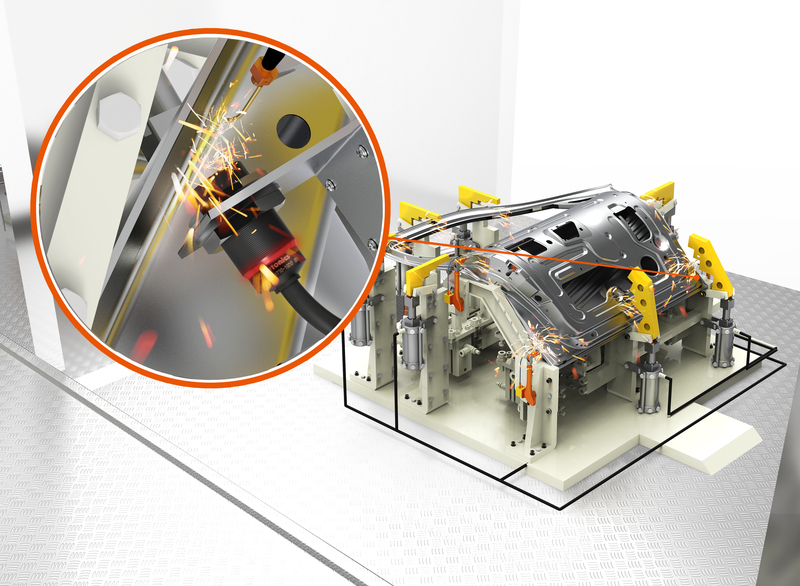 Full-metal inductive proximity sensors are used to set the location of automobile doors during spot welding process. 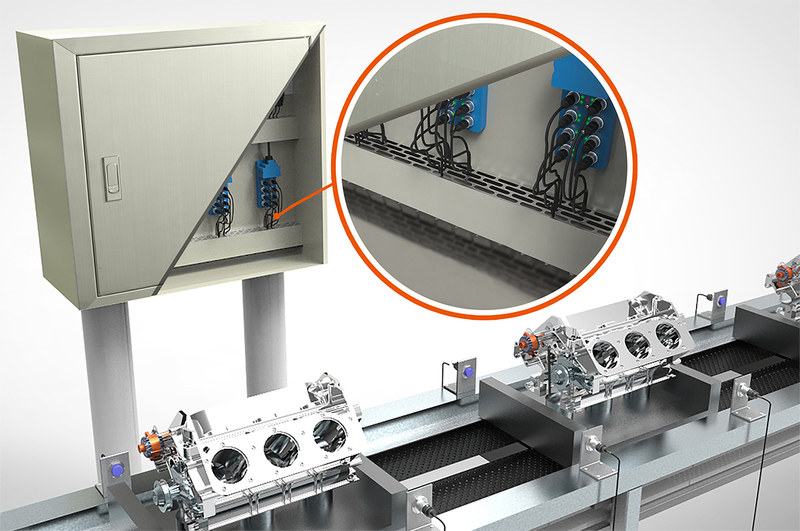 Sensor distribution boxes are used in automobile engine manufacturing lines to supply power and signal to individual sensors. 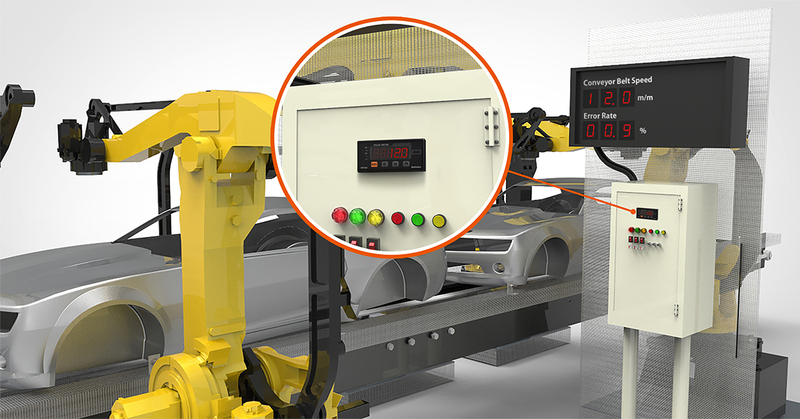 Digital pulse meters are used to measure the movement speed of car frames on conveyor belts during assembly process. 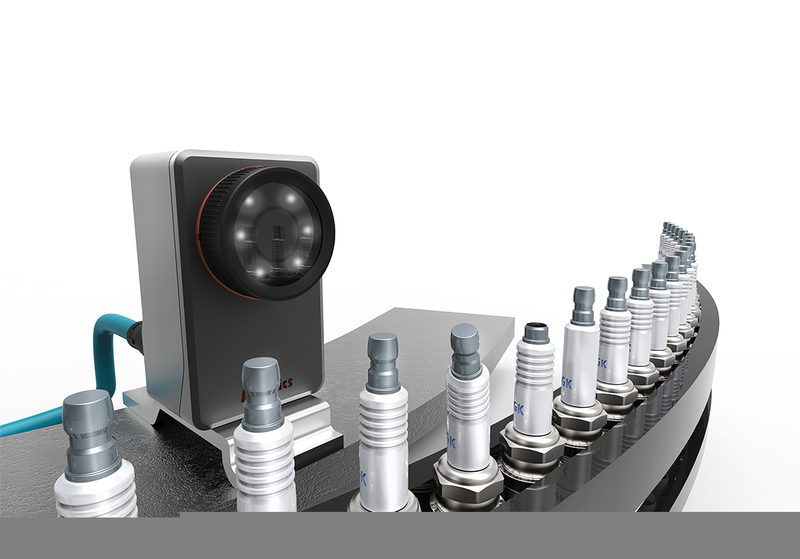 Ultra-compact photoelectric sensors are used to detect the presence of brake discs in manufacturing lines. 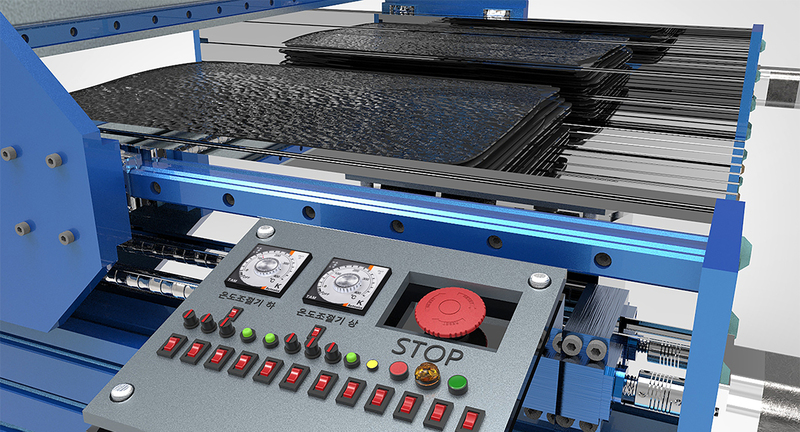 Timers are used to control the laser marking time during brake disc manufacturing process. Vision sensors are used to identify the molding status of monitors including number of holes, size, etc. 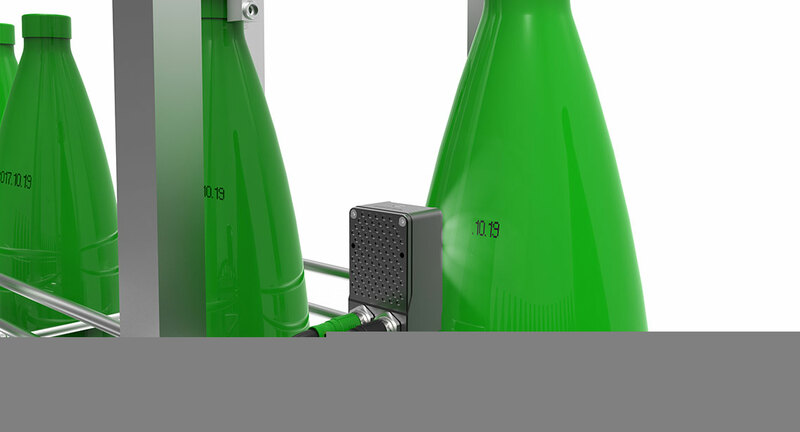 Dual display pressure sensors are used for air-leak test of PET bottles during packaging material manufacturing. 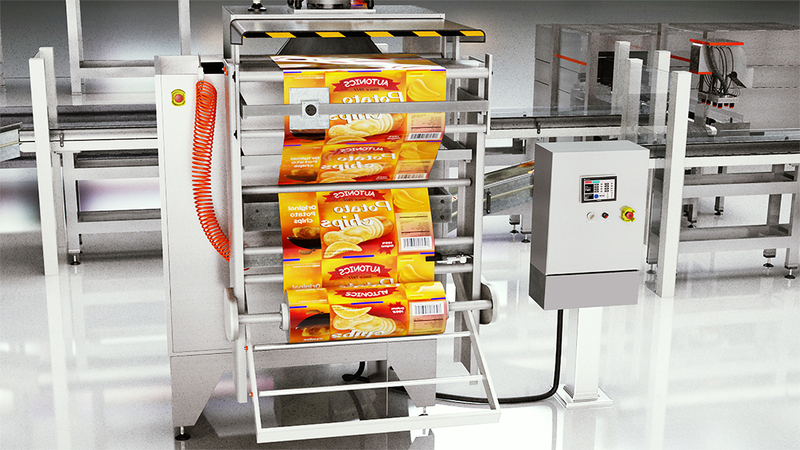 Analog PID temperature controllers are used to control the temperature of packaging material cutting machines. 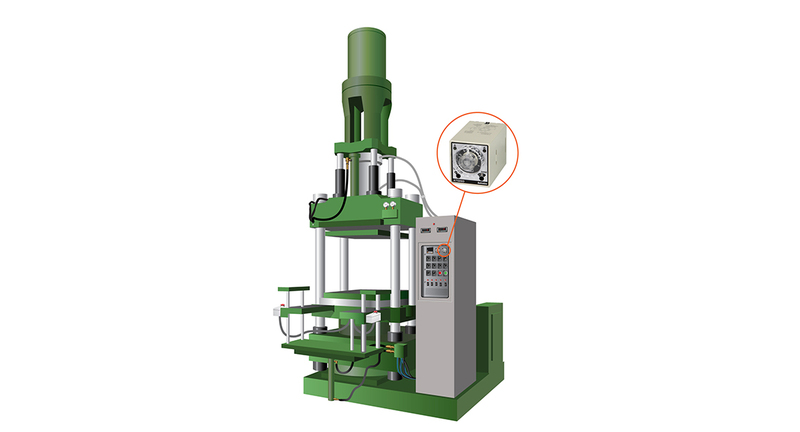 Analog timers are used to control process time in extrusion molding machines. AiSA series closed loop stepper motor system used for position control of industrial turntables during ballpoint pen manufacturing. This Area-sensing Fiber Sensor detects hot-melt adhesive coatings. Smart Sensor with Ultra-High-Speed Color CCD Camera stably detects blurred printed character on cardboard. Adopting automatic color filter, it provides stable detection by allowing the Sensor to process images, even for the mark with low contrast. 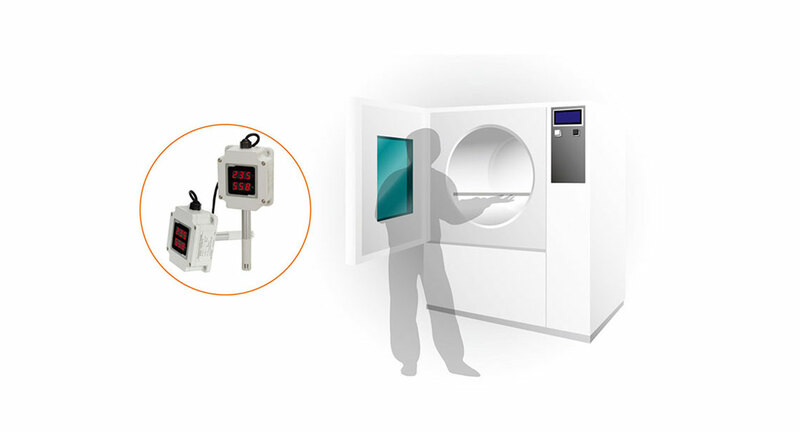 The Ionizer can be installed between the guard and the printing stage. 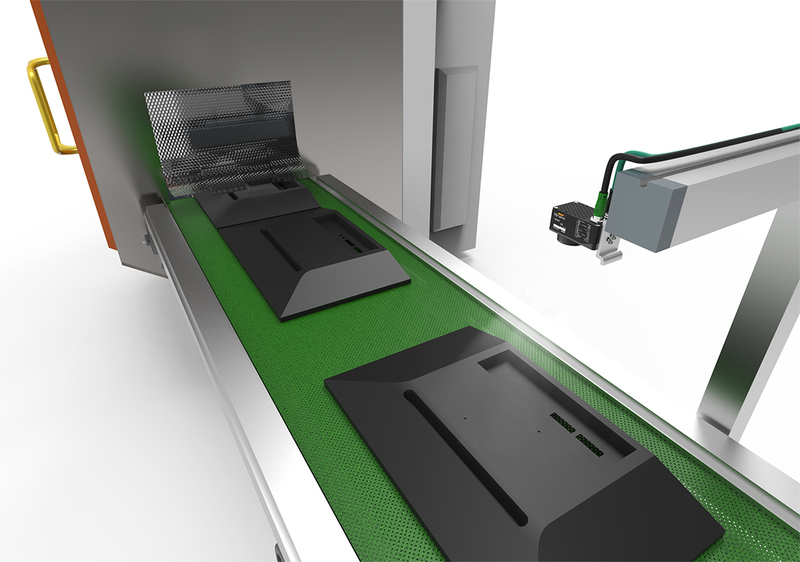 This application controls production of workpieces on conveyors. 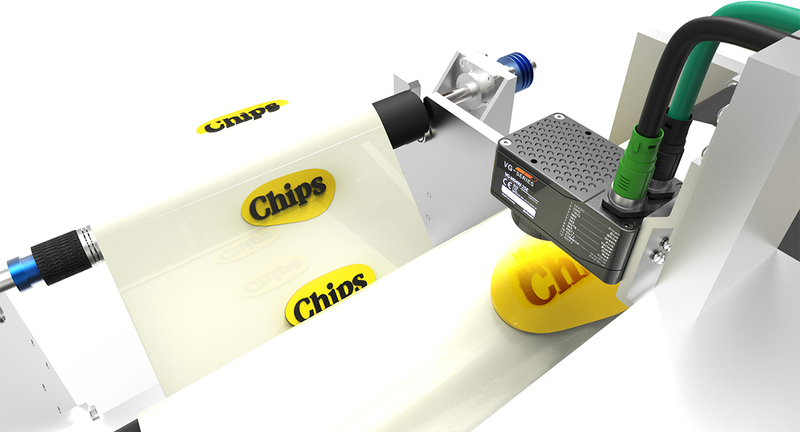 A Photoelectric Sensor detects workpieces on a conveyor. This application uses the pulse counting mode of a K3HB-C Up/Down Counting Pulse Indicator to display values. A BCD output that is sent to the PLC or large display unit enables production management. Distance-settable Sensor detects the edge of non-woven fabrics without being affected by the background or color. Sharp, clear beam with 2-mm diameter simplifies positioning.
" Problems: Tracking control can be used to move AGVs around a factory to transport roll paper for printing. 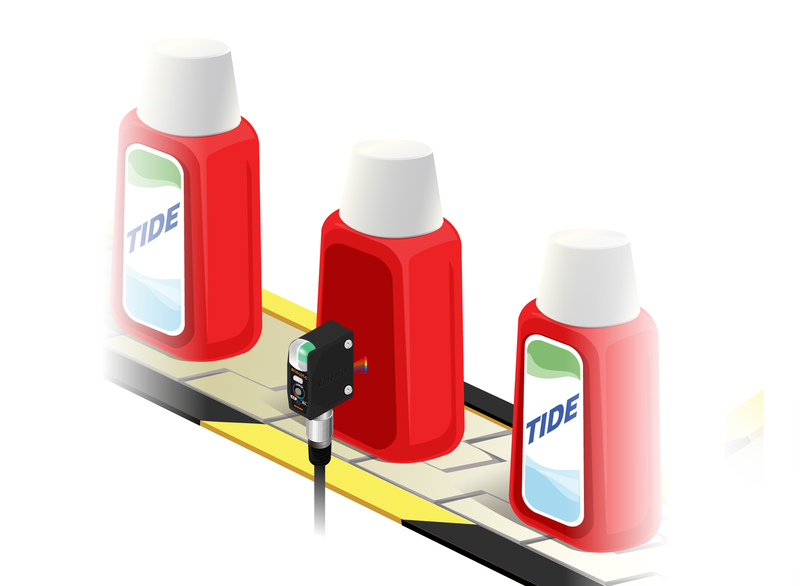 Using tracking control, however, means that the AGVs must be moved in order, and a large amount of time is lost waiting in line. With tracking control, the motion of the transportation vehicles is determined in advance and it is very difficult to make operation changes (e.g., interruptions). Write motion instructions (e.g., type, destination) to Data Carriers (ID Tags) mounted to the AGVs. 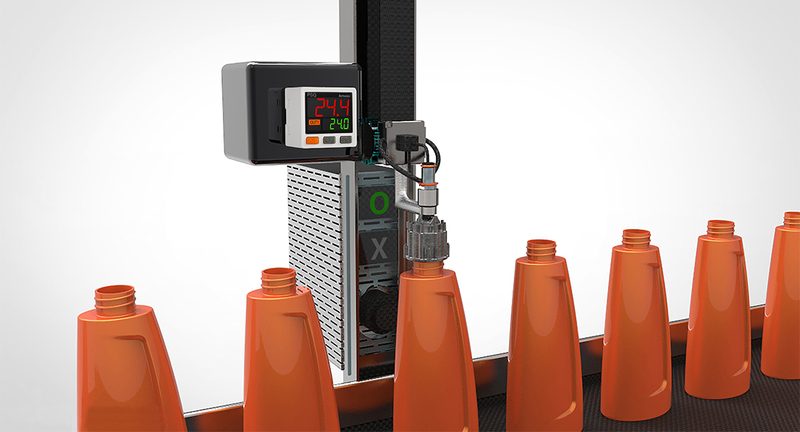 Read the Data Carrier information at the stations and perform motion control of the AGVs as appropriate (e.g., instructions to move to material supply stations, standby stations, or production stations). " Problem: All Temperature Controllers Are Set from a Personal Computer when Changes Are Required.The Temperature Controller setting software (CX-Thermo Support Software) is used for batch setting of Temperature Controllers from a personal computer. Settings such as control parameter setting, equipment fine tuning or maintenance work can be changed easily from the personal computer in significantly less time. Problem: The client is using a spindle motor, but unless the cooling water is linked to indoor temperature, condensation occurs, leading to motor damage and lost work time.Use the remote SP for heating and cooling control (linked to indoor temperature) and high-speed control to accurately synchronize with indoor temperature. Condensation will not occur, preventing damage to the motor. 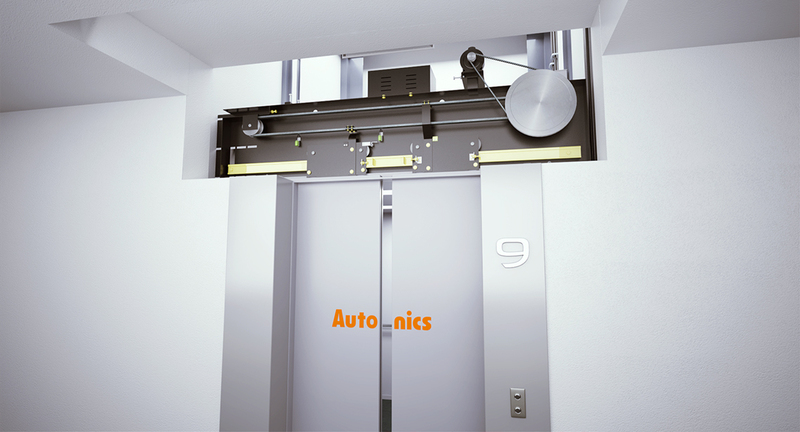 This is an example of an elevator, escalator, and parking system using Autonics products. 5-point cross-beam type elevator sensors are used to detect people or objects entering or leaving the elevator and accordingly control the opening and closing of elevator doors. 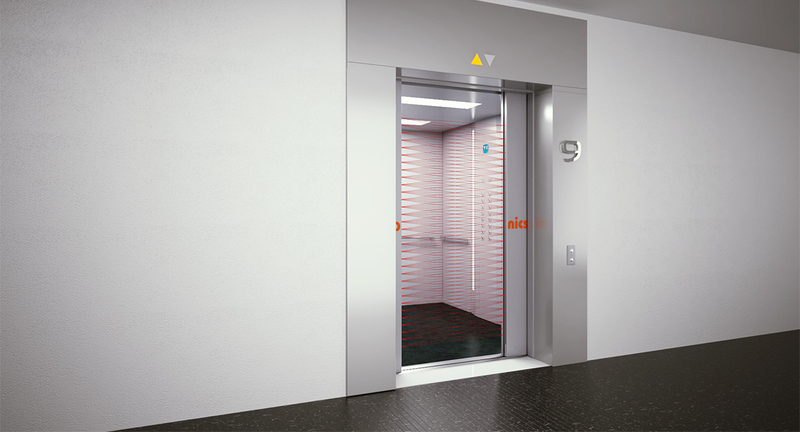 Proximity sensors transmit position limit signals during opening and closing of elevator doors to signal completion. 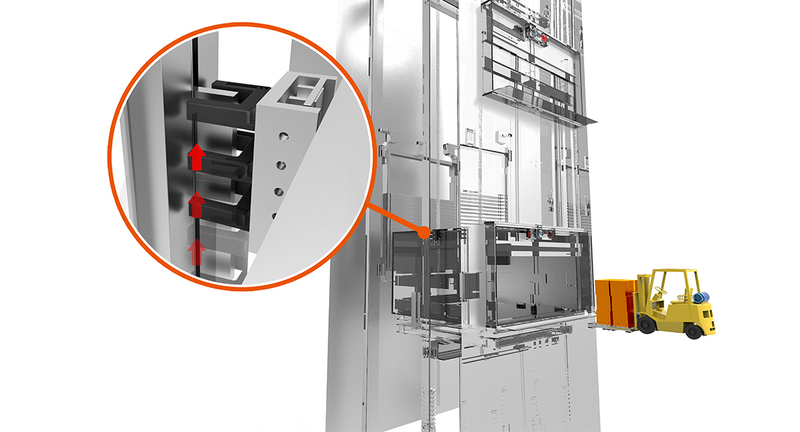 Incremental rotary encoders are installed inside the motor of the door operation control room to accurately control the open/close position of elevator doors using pulse signals from the encoders. 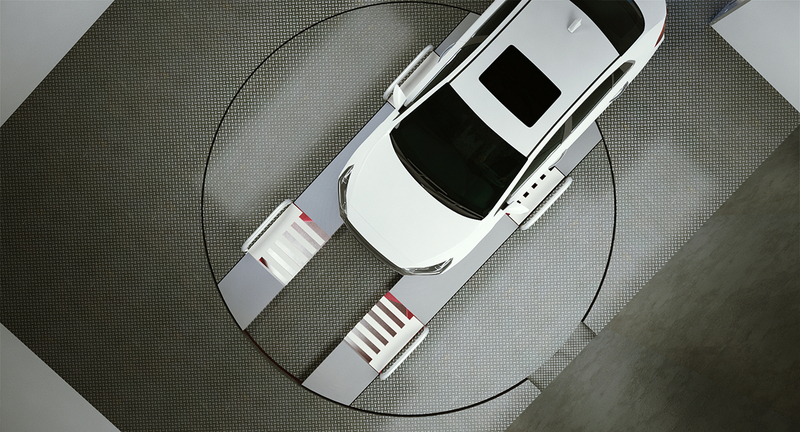 U-shaped photoelectric sensors are used for precise position control of elevator cars by detecting light blocking plates on each floor and prohibiting excess movement. 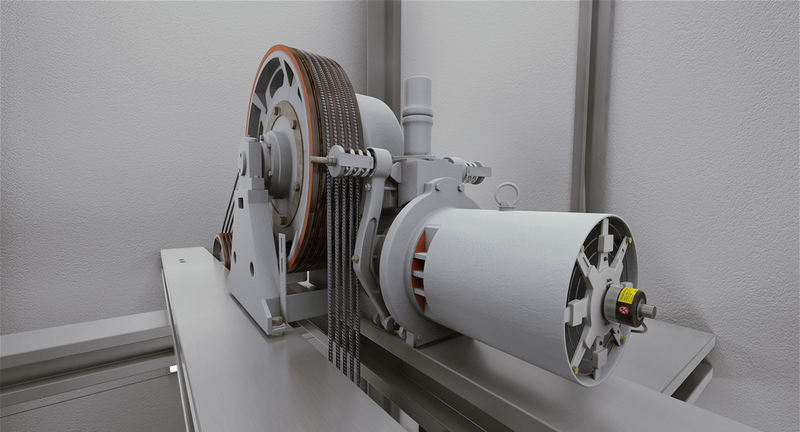 Incremental rotary encoders are used alongside motors in geared winding machines to control ascending or descending movement of elevator cars. 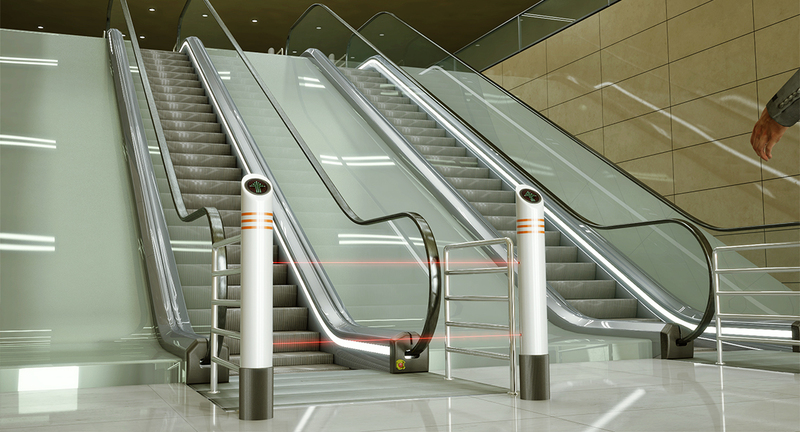 Automatic door-side sensors are used to detect entry into escalators and start escalator drive operation. 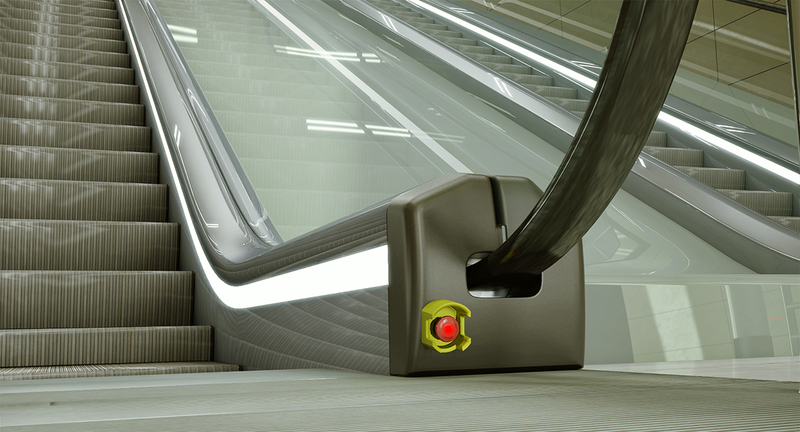 Emergency switches installed on escalators can be used to stop operation of the escalator in the event of an emergency (falling, entrapments, etc.). Absolute rotary encoders are used to control the rotating position of parking turntables used during entry/exit of automobiles. 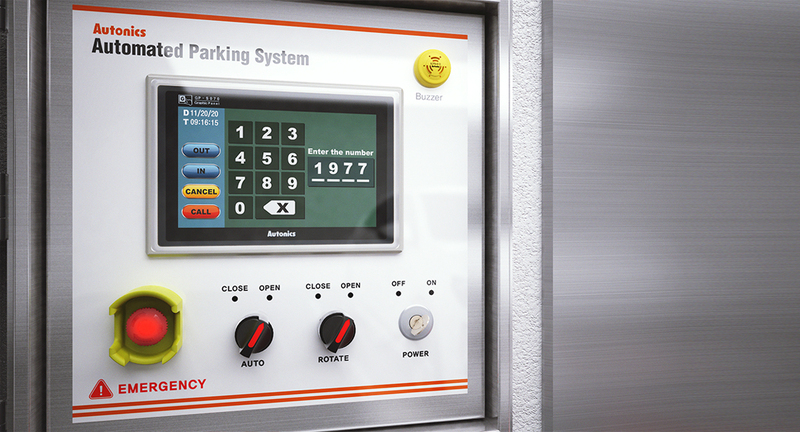 HMI graphic panels used to control parking operation and retrieval of vehicles, and monitor status of parking spaces with simple touch panel operation. 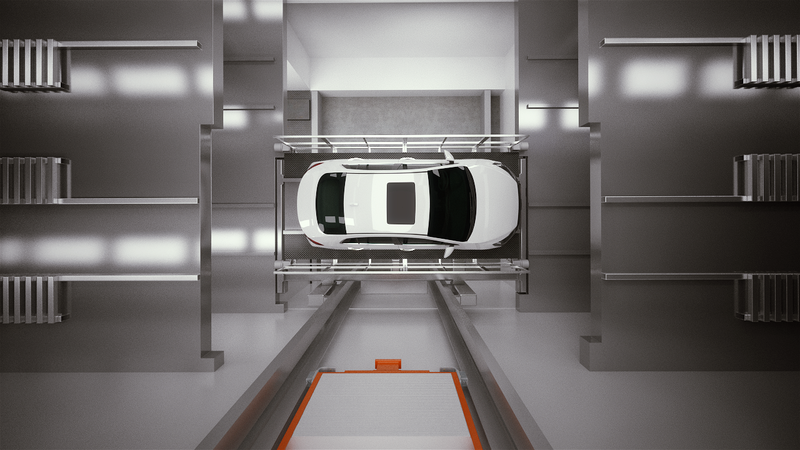 Photoelectric sensors used in parking tower pallets for presence detection of vehicles within designated areas. 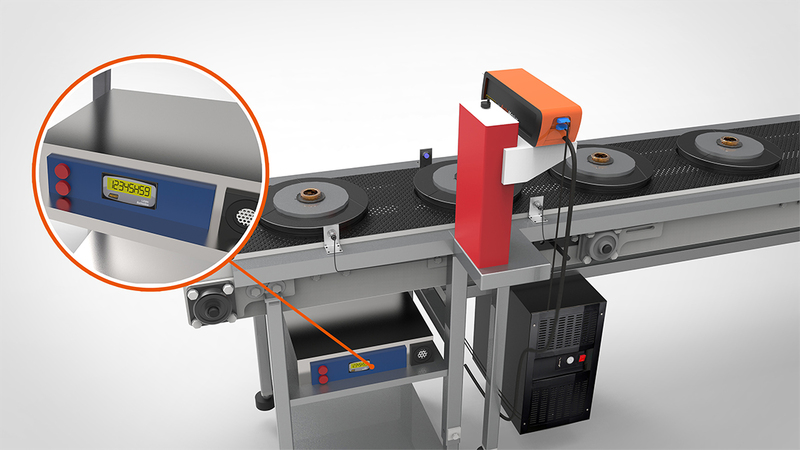 Inductive proximity sensors installed in parking turntables to detect the plates on the turntables and control the set/fixed position of the turntables. Key switches and selector switches can be used to control drive/stop operation automatically or manually. Key selector switches and lever selector switches are used to control operations such as RUN/STOP and AUTO/MANUAL modes. Emergency switches are used to stop the machinery during emergencies. TMH series temperature controllers used to control multiple temperature channels for sealing and cutting in pillow packaging machines. 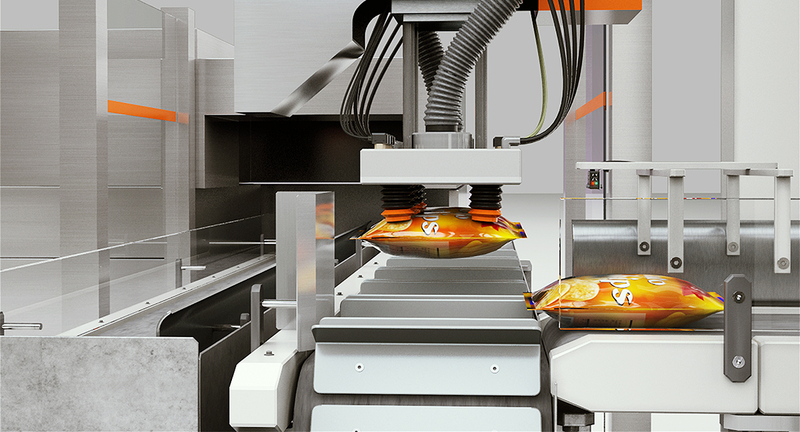 Stable temperature control of heaters during potato chip bag sealing process. 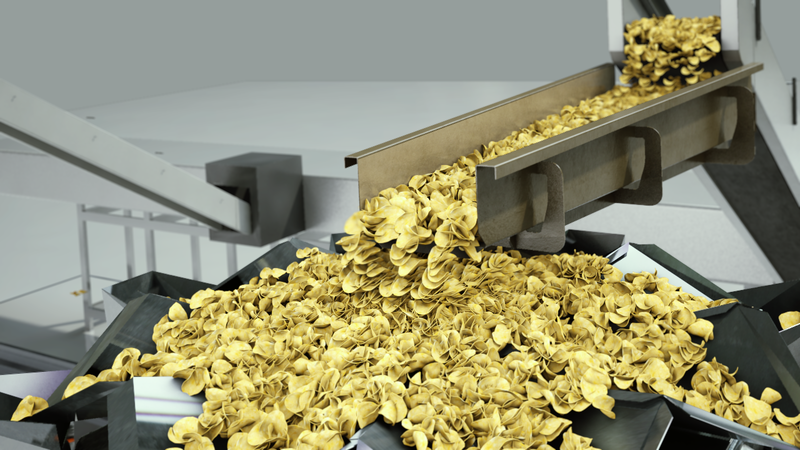 Multi-channel modular temperature controllers and solid state relays with integrated heatsink are used for fast and stable temperature control during potato chip bag sealing process. Graphic Panels are used to configure parameters and monitor status from outside the control box. Switching mode power supplies provide stable power to photoelectric sensors and temperature controllers. 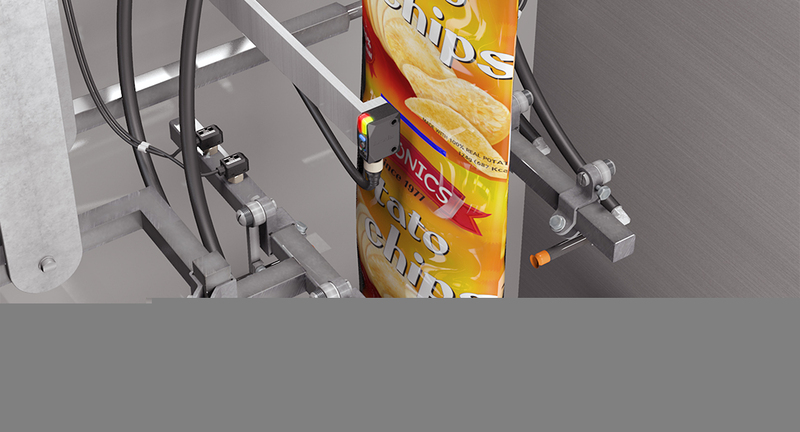 Cross-beam area sensors are used to inspect the filling level of potato chips in the bags during transport process. 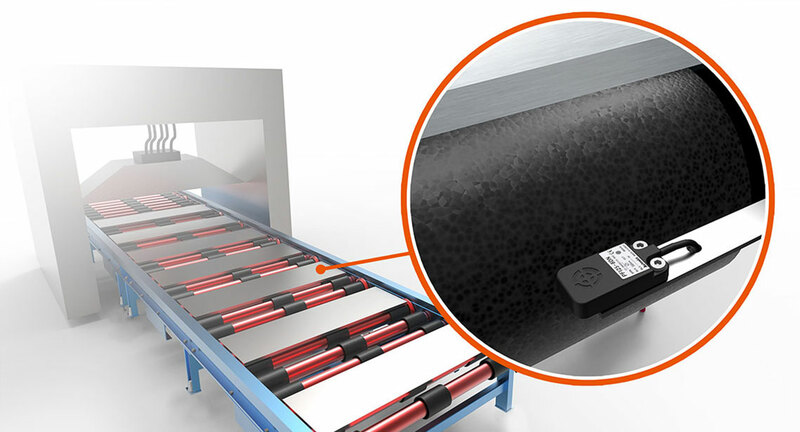 Ultra-compact photoelectric sensors are installed on a conveyor belt, to detect the presence of finished goods being transported. 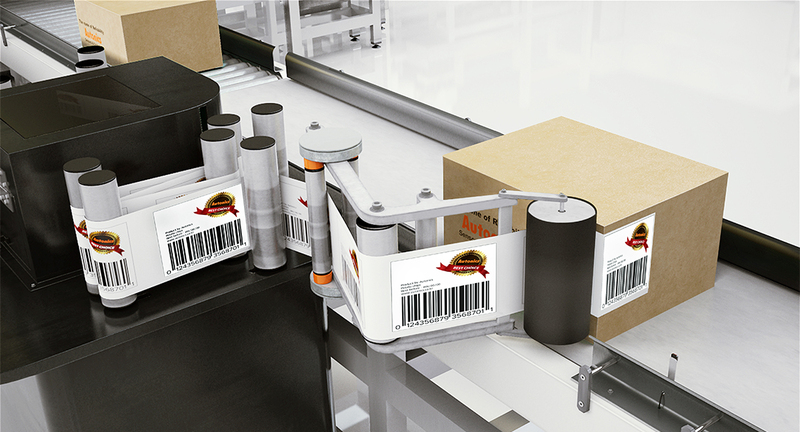 Compact, high performance photoelectric sensors are used to detect finished goods before being transferred for box packaging. 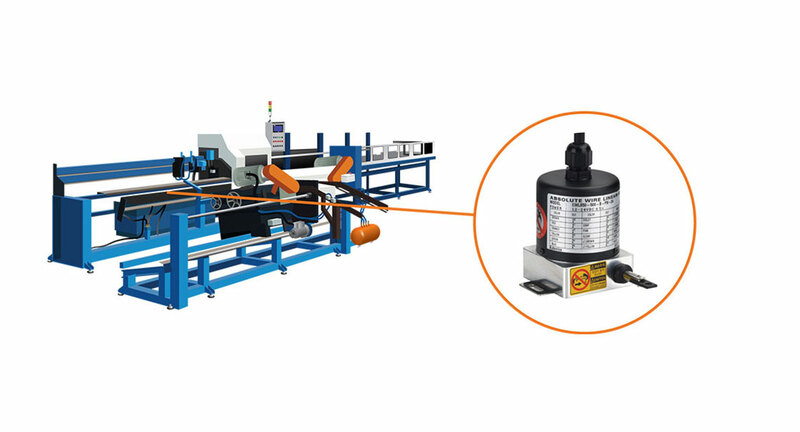 Stepper motors and motor couplings are attached to label rollers to control the rotation speed and direction of rotation of rollers during box labeling process. 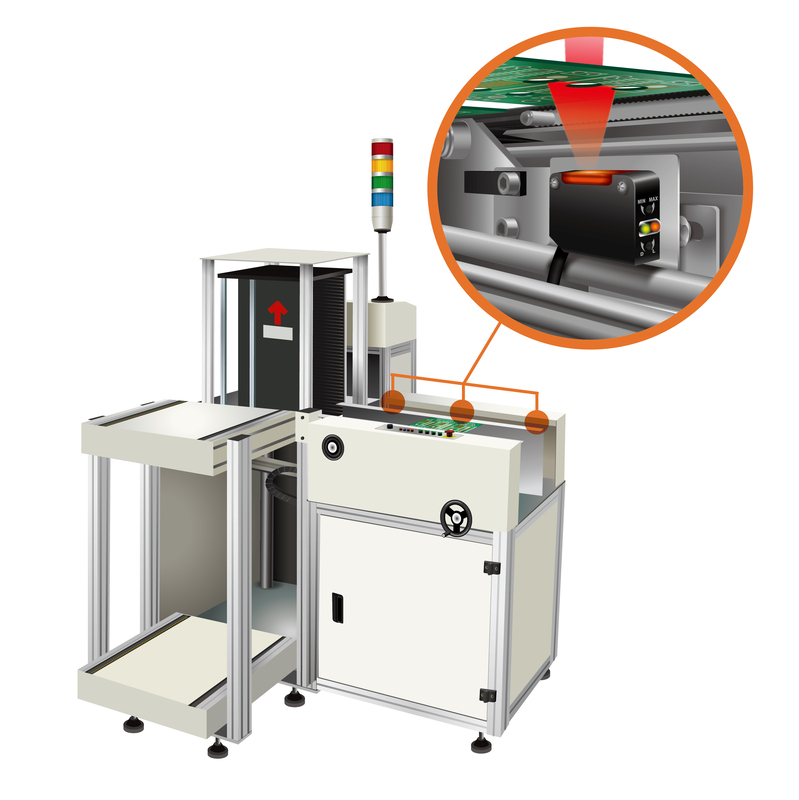 Ultra-thin type photoelectric sensors are installed in tight spaces, to detect the presence of boxes being transported after labeling. Vision sensors are used to identify the printing status on cosmetics containers. Color mark sensors are used to detect cutting marks on paper from inkjet markers. Color mark sensors are used to detect presence of product labels. 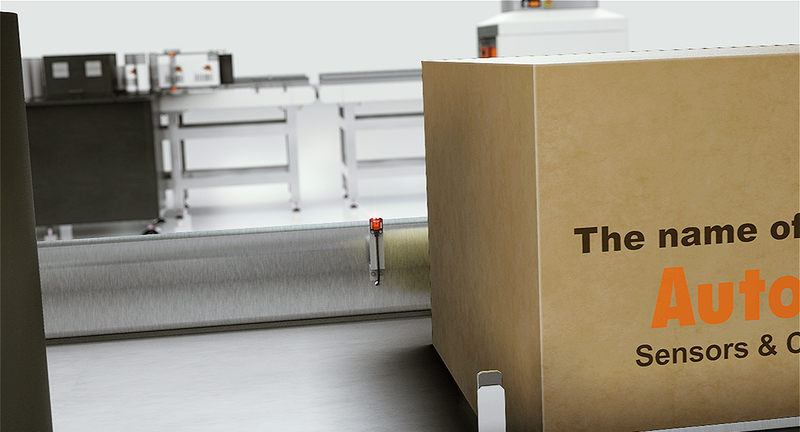 Vision sensors are used to identify the printing status of marks on packaging paper from inkjet markers. 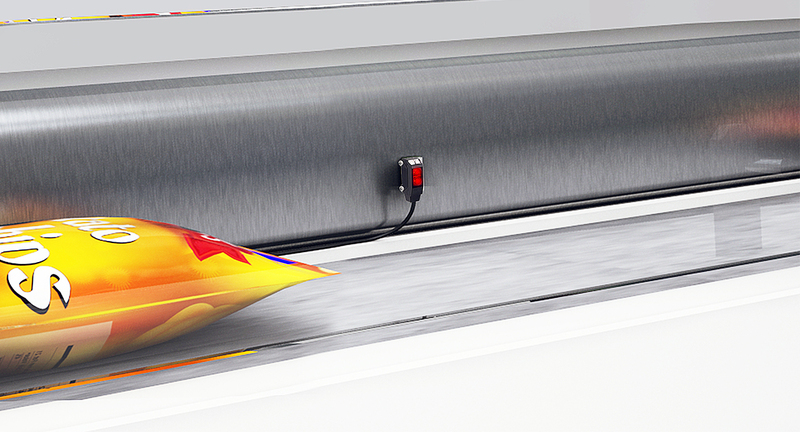 Color mark sensors are used to detect cutting marks in during packaging material manufacturing. 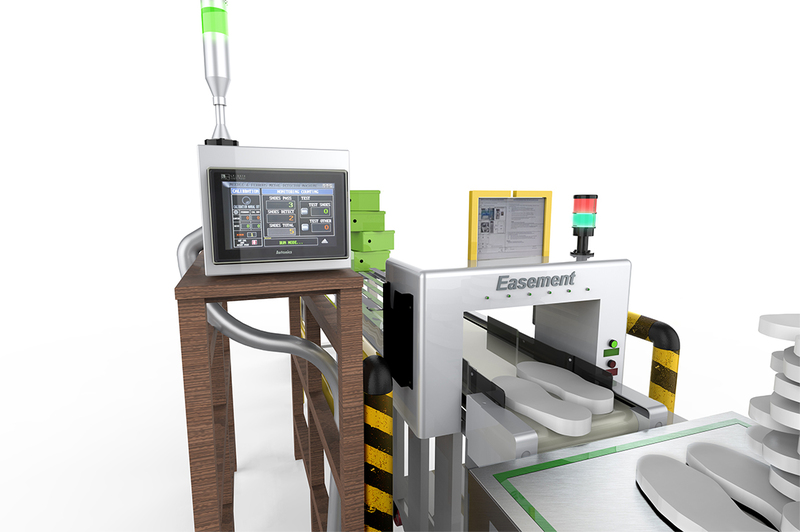 Proximity sensors are used to detect and count the number of bottles during beverage packaging process. 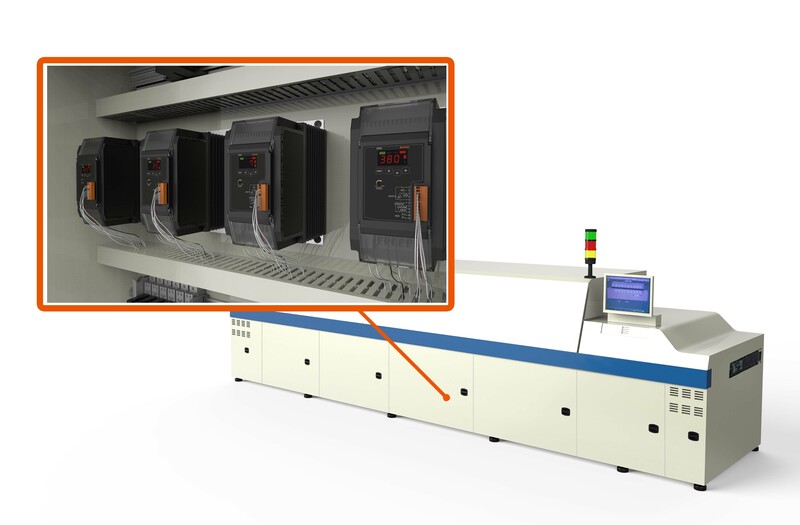 Multi-channel modular temperature controllers, switching mode power supplies, and solid state relays are used to supply power and control temperature in stick packaging machines. 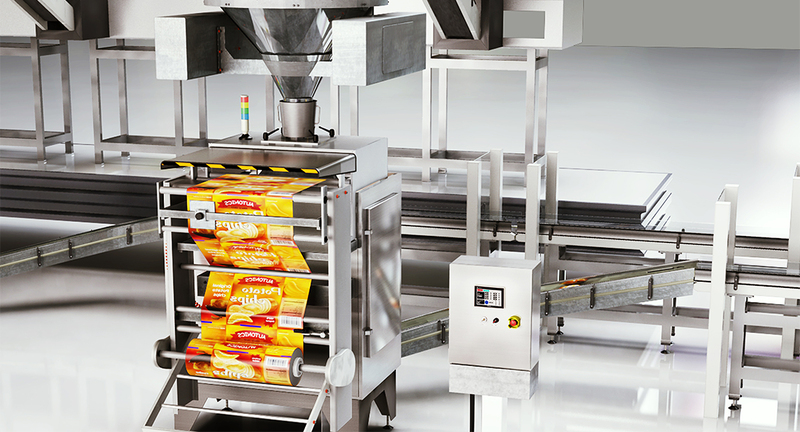 Temperature controllers and solid state relays are used to control temperature of food container sealing machines. Solid state relays used in conjunction with temperature controllers in cup sealing/packaging machines. 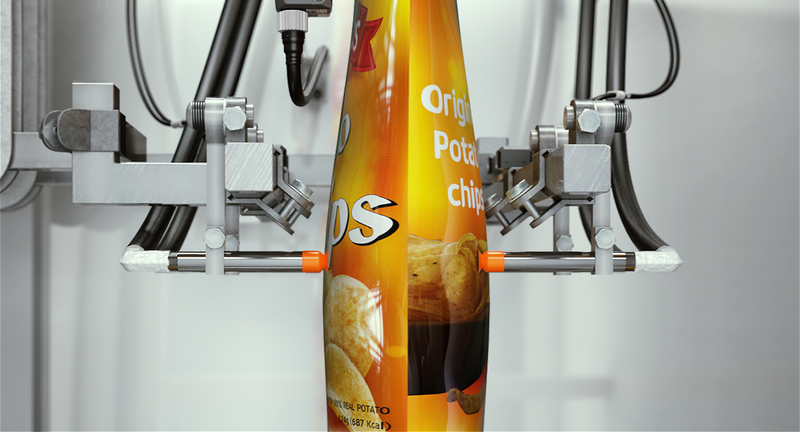 This is an application example of potato chip manufacturing and packaging process using Autonics products. BJR-F series oil-resistant photoelectric sensors used in CNC hole drilling process. 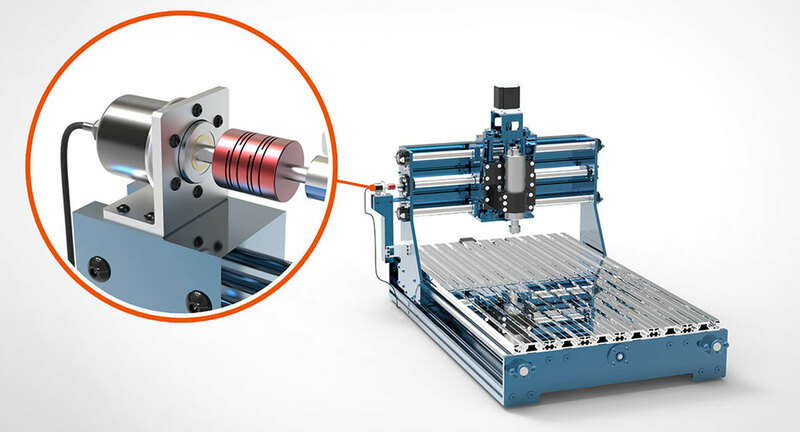 Photomicro sensors and stepper motors are used to control X-Y axis shafts in compact sized milling machines. 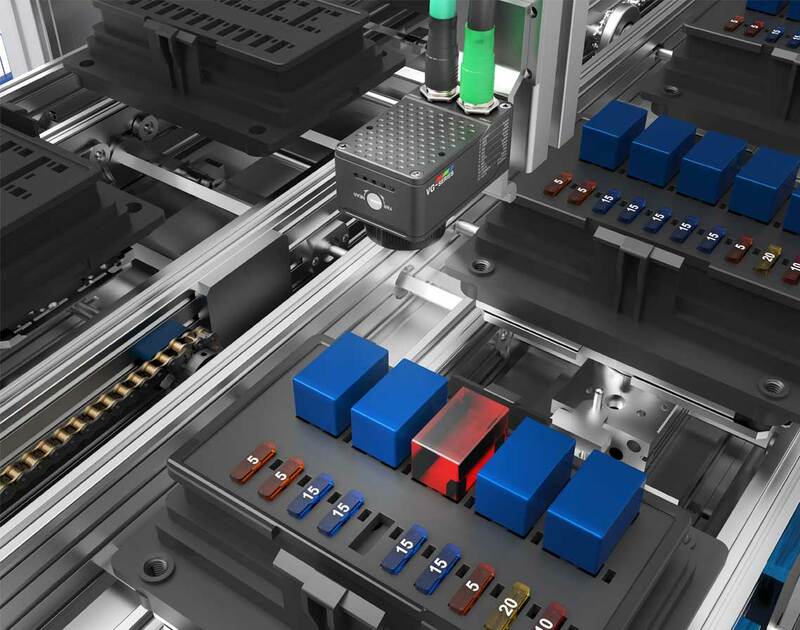 Relay terminal blocks are used to easily connect temperature controllers and other control devices inside machining centers. Flat type proximity sensors are used to detect the presence of metal plates in metal processing and manufacturing lines. 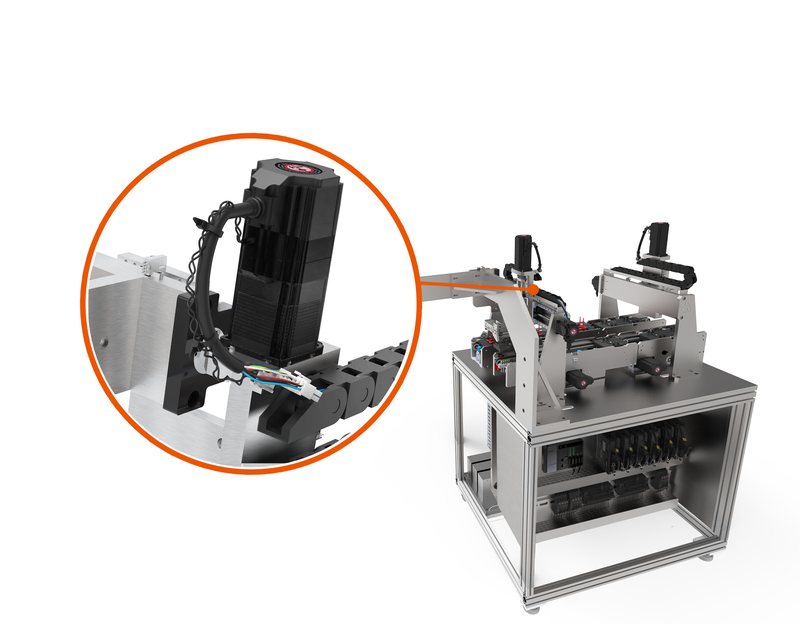 Photomicro sensors and stepper motors are used to move and check X-Y axis location of trays during laser marking of parts. 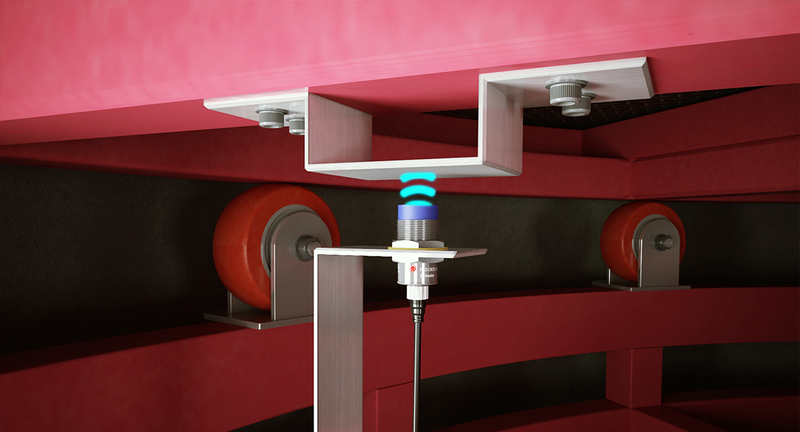 Proximity sensors are used as limit switches to check the precise location of parts in automatic drilling machines. 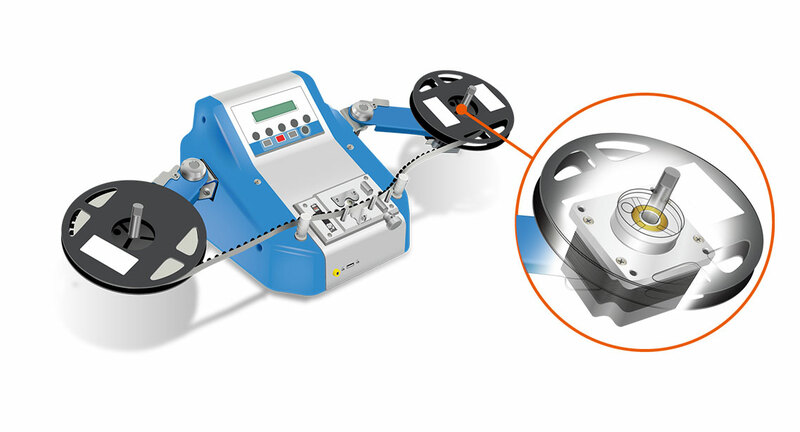 Wire-type linear scale absolute encoders are used to measure the cutting lengths in pipe cutting machines. 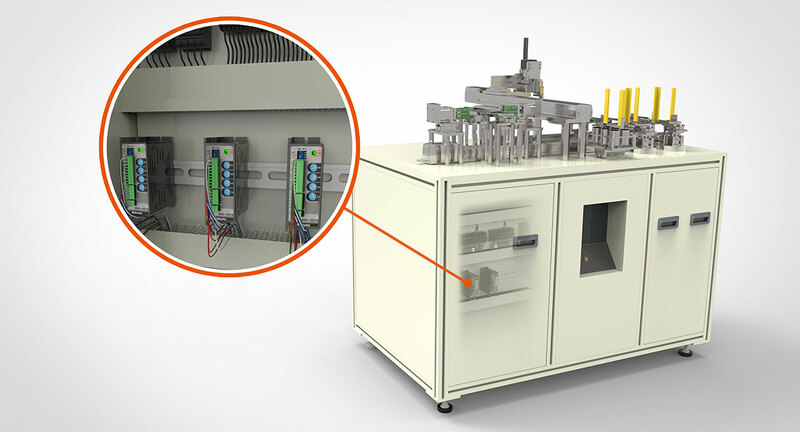 Screwless type interface terminal blocks are used to easily connect and wire switching mode power supplies and other controllers in CNC machining centers. 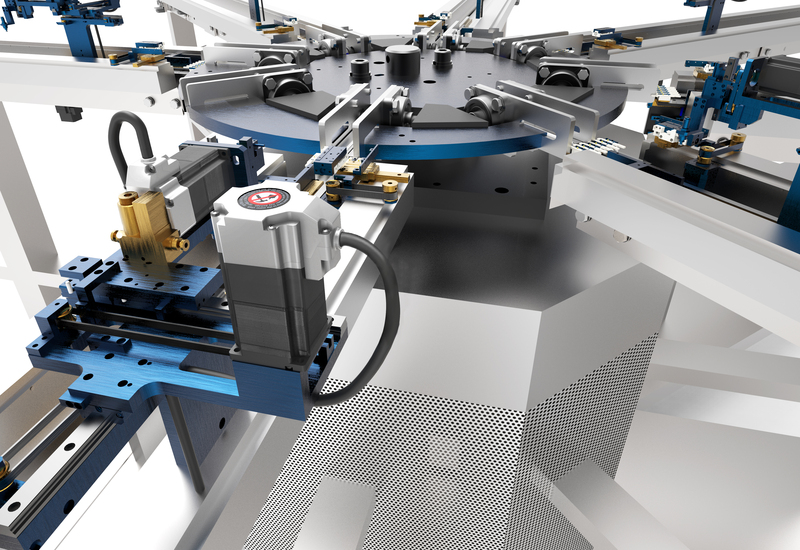 Graphic panels, fiber optic sensors, and proximity sensors are used on hole drilling machines. 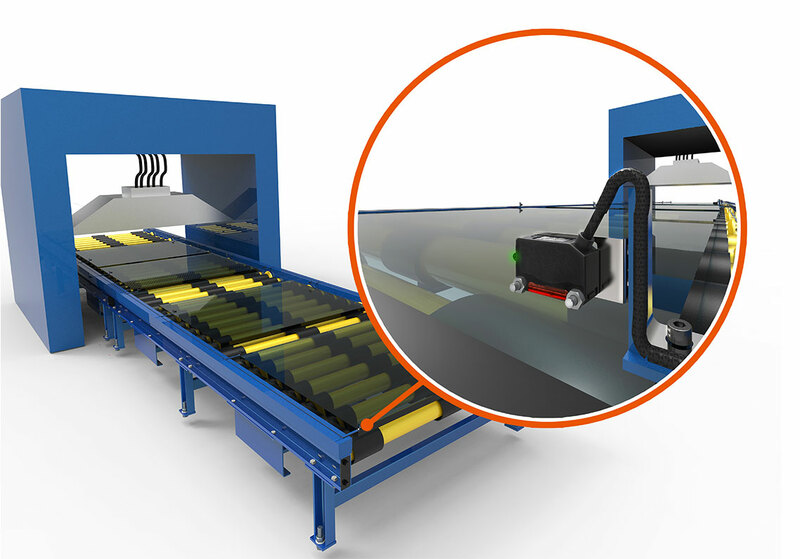 Compact, high performance photoelectric sensors are used to detect glass panels during glass manufacturing processes. Rotary encoders and couplings are used to detect and control the shaft rotation on compact-sized milling machines. 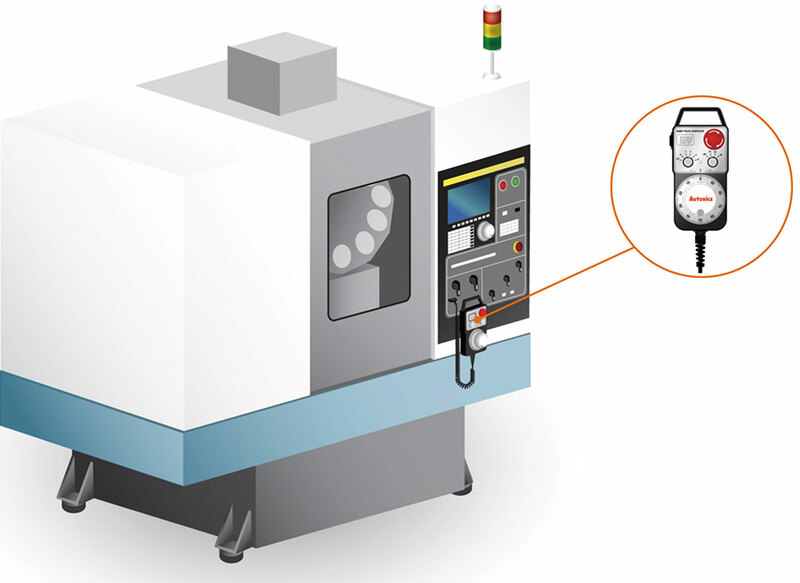 Handwheel type rotary encoders are used to control the location of tool components in machining centers. PR3 series single-phase power controllers used in reflow ovens to accurately control temperature using feedback control. Single-phase integrated solid state relays are used to control the temperature of heating device in reflow machines. 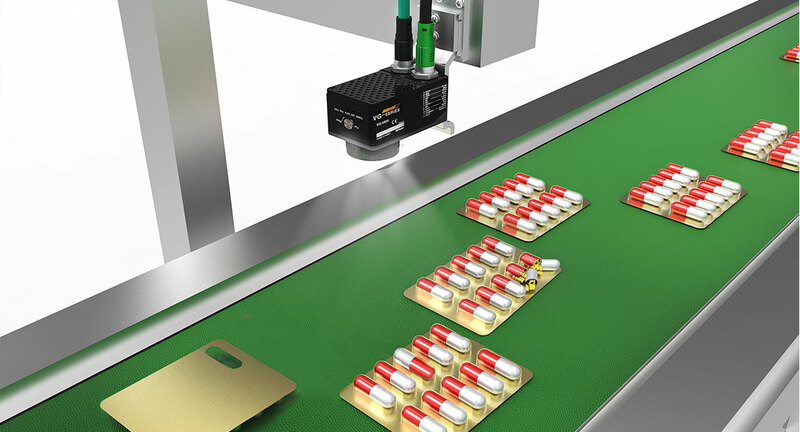 Vision sensors are used to identify presence, absence, or defects of rubber packaing in syringes during manufacturing process. Vision sensors are used to identify the number of pills, presence or absence of pills, or defects in packaging of pharmaceutical drugs. 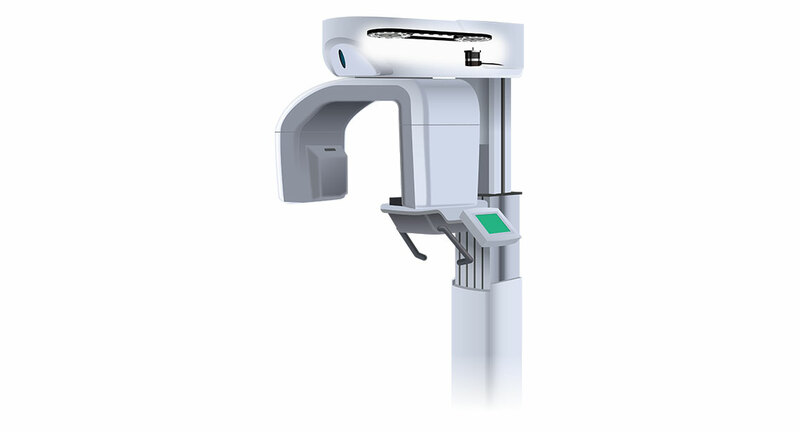 5-phase stepper motors are used to control the rotating components of dental CT scanners. 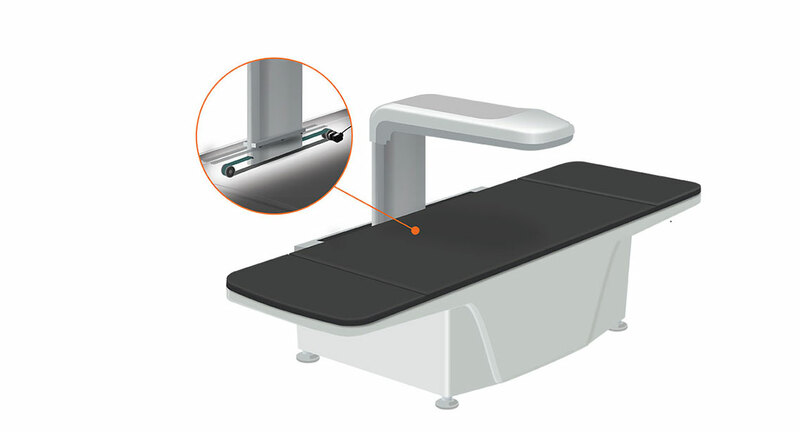 5-phase stepper motors are used to control the scanning components of bone densitometry scanners. Temperature/humidity sensors are used to measure and control the temperature and humidity of thermo-hygrostat systems. 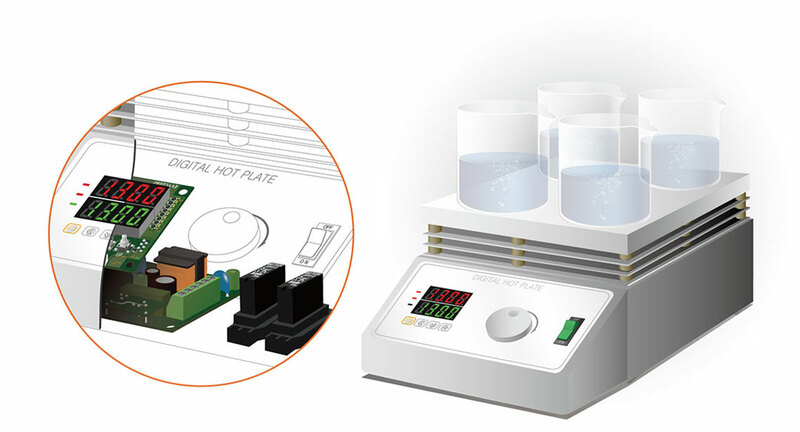 PCI card type temperature controllers and socket type solid state relays are used to control temperature of lab hotplates. Stepper motors are used to control the fluid control component of medical infusion pumps. 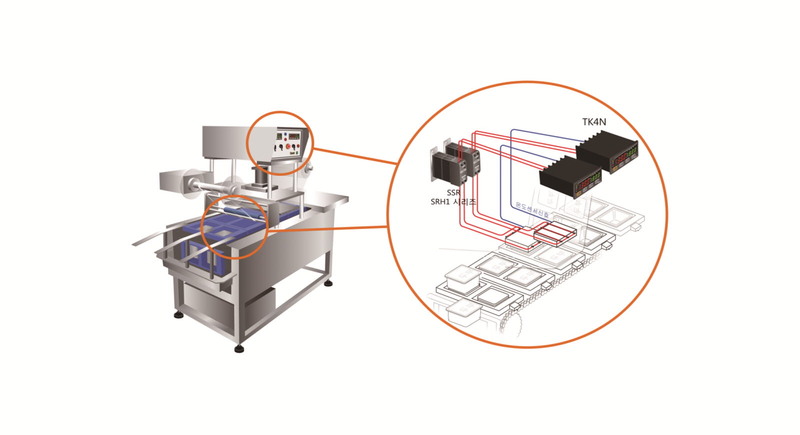 AiS-B series closed loop stepper motor system with brakes used to control product transport in LED backlight unit inspection and cutting machines. 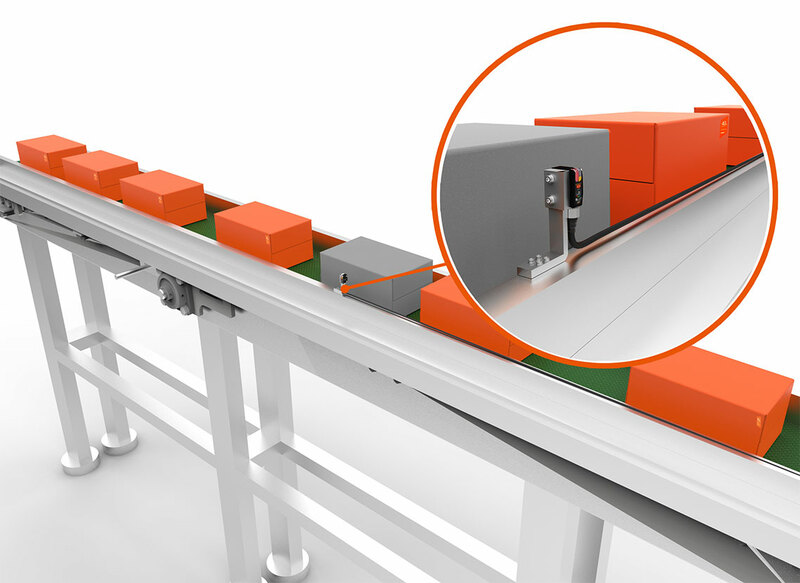 Vision sensors are used to identify the size of boxes on shipping conveyor belts. 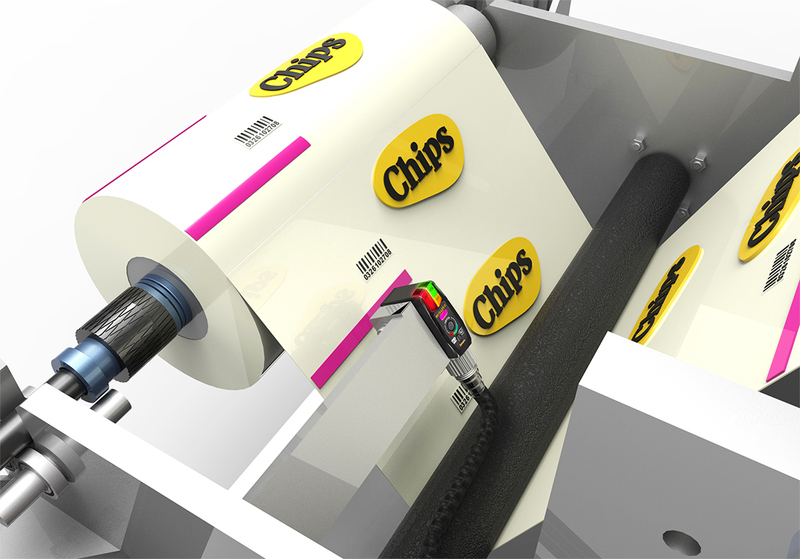 Color mark sensors are used on packaging lines to detect color errors in packaging boxes. 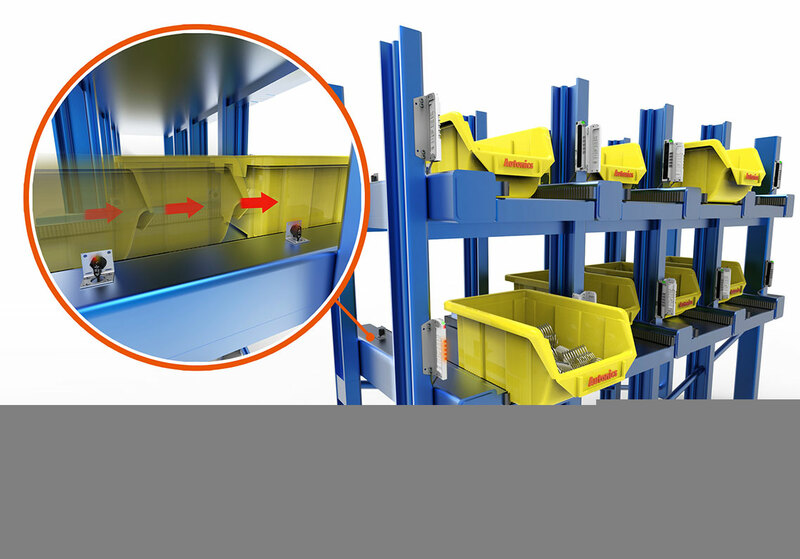 Front/side mounting photoelectric sensors are used on warehouse racks to detect entry and exit of trays. 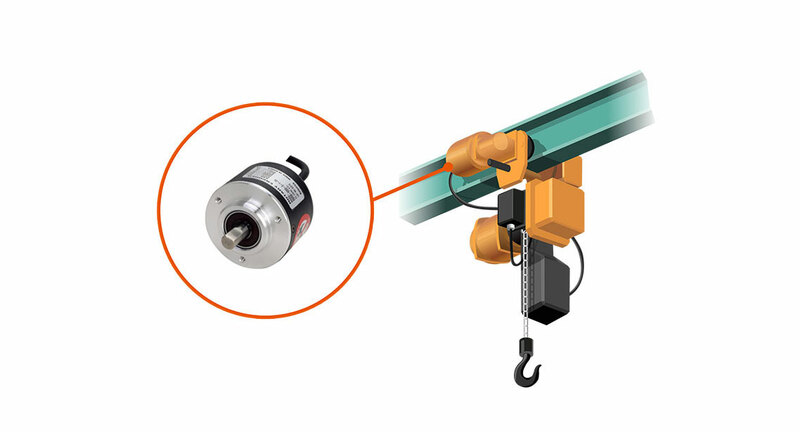 Rotary encoders are used for positioning control of hoists.